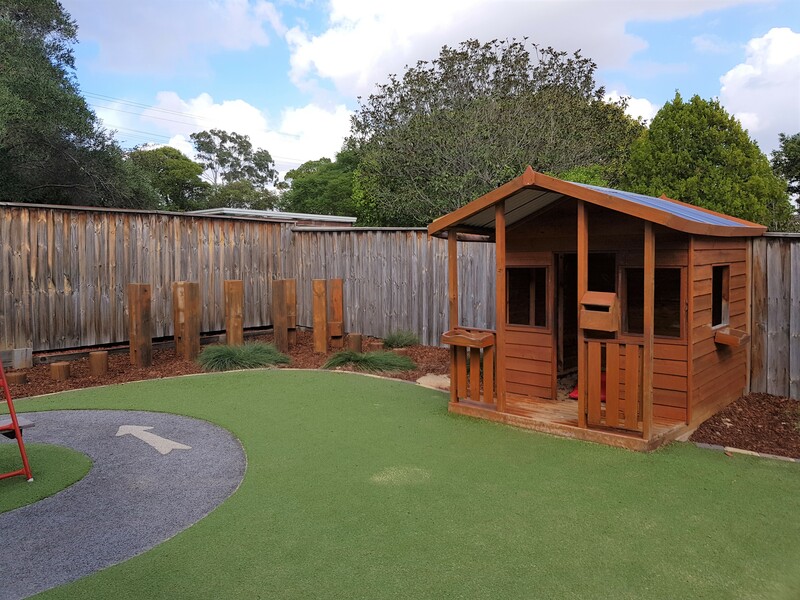 Set in the beautiful and Heritage Dellina Palm Cottage Little Zak’s Academy Ryde child care centre strives on being the best in the area, providing our children with the tools to create the best start in life. We do this by conducting incursions, which include the local fire brigade, police department, doctors, dentists, vets and Kindi-farms. 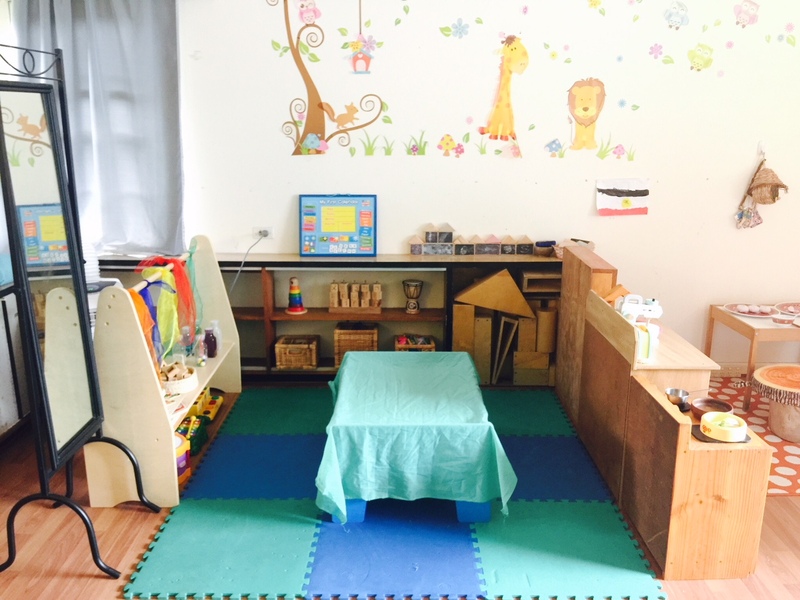 We also implement an intense school readiness program for our preschool-aged children. 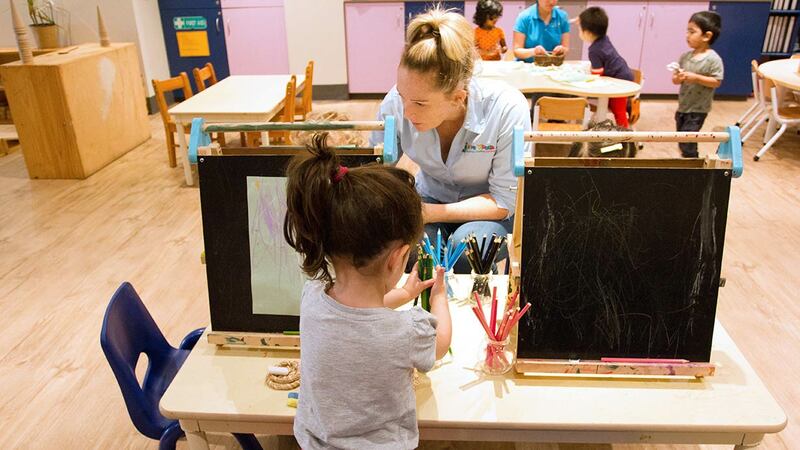 But most importantly, we only employ the best educators who are dedicated to providing a stimulating and exciting program for our children, supported by their caring and nurturing nature and a great team like attitude. A chef is present on premises, to provide 5 meals daily. 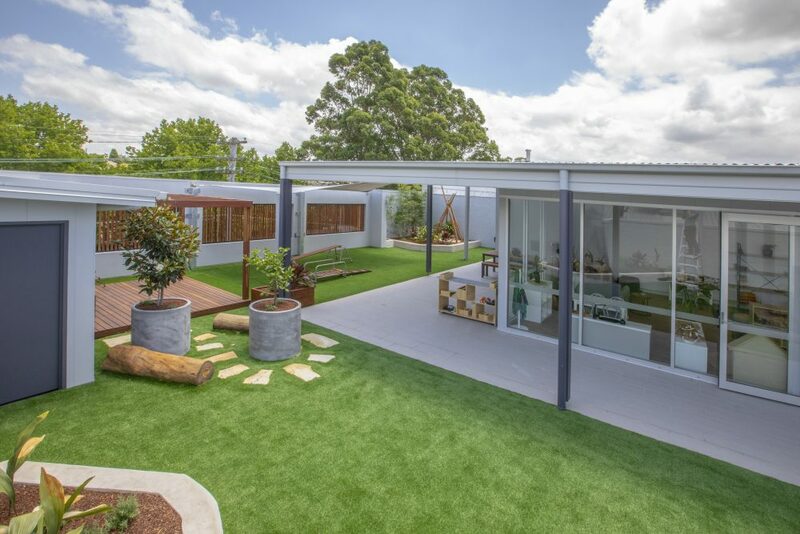 Little Zak’s Academy provides children with numerous complimentary extra-curricular activities which include sports, yoga, French, cooking and prep school classes. 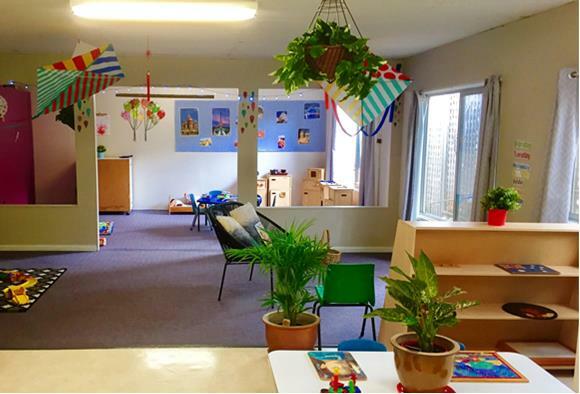 Our Ryde centre caters to children aged 6 weeks to 6 years. We are a new family owned long day centre in Denistone. If you think your child could benefit from a service that strives to deliver these outcomes, look us up. 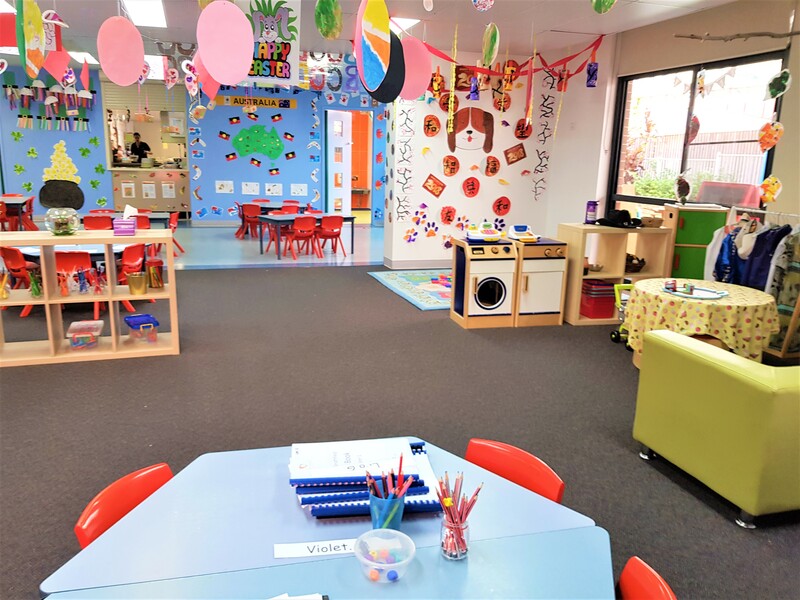 Hans & Gretel Long Day Kindergarten was one of the first purpose-built childcare centres in the Ryde area and continues to be family-owned and operated. 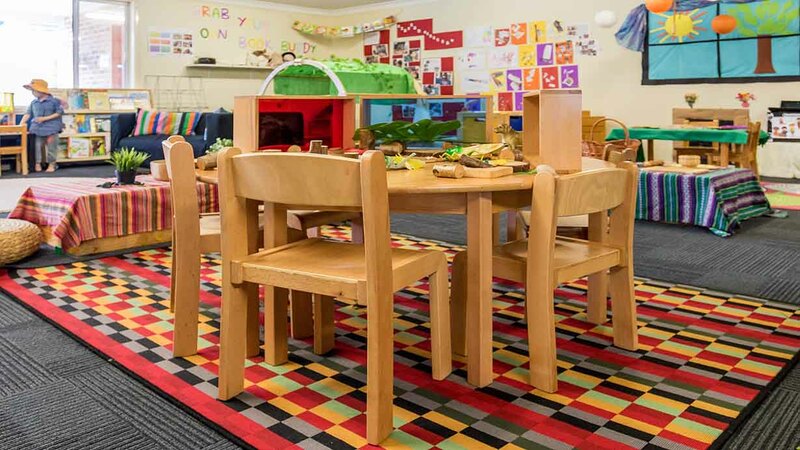 The Centre, open from 7.00am – 6.00pm, Monday to Friday, caters for children from 22 months, to 6 years of age. 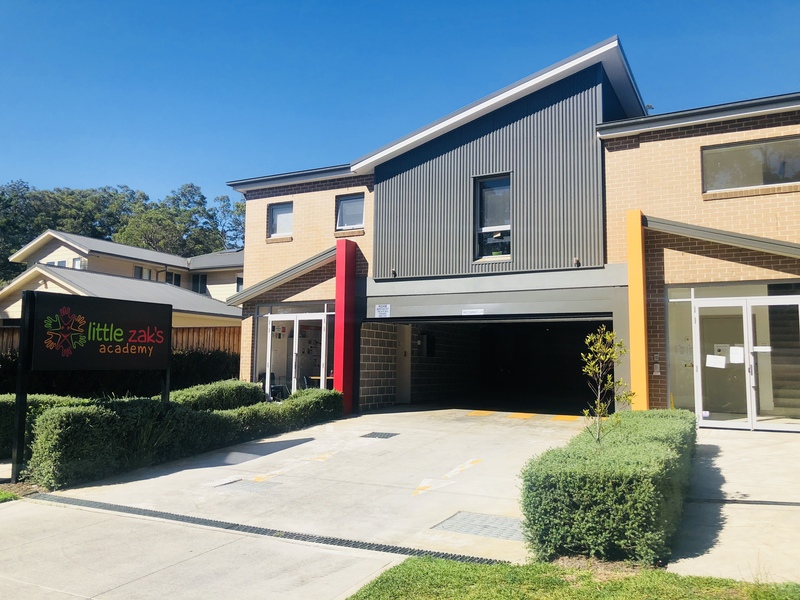 Servicing both the wider Ryde community as well as people coming into the Ryde area to work and study, it is conveniently located for parents commuting from Gladesville/Hunters Hill, Parramatta/Westmead, Eastwood/Carlingford, North Shore areas and further afield. 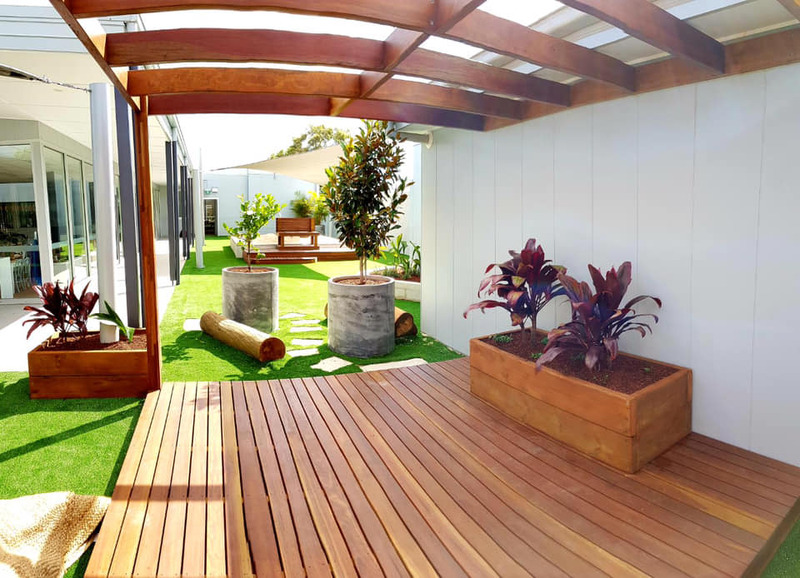 The Centre is located near to a reserve providing a quiet and environmentally rich location. As a point of reference, it is located on the same street as the Ryde Secondary College, off Buffalo Road. 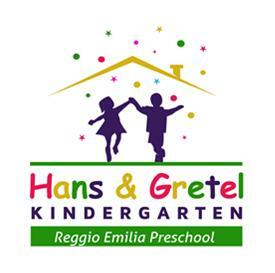 Hans & Gretel Long Day Kindergarten has adopted the Reggio Emilia Approach to guide its programming. 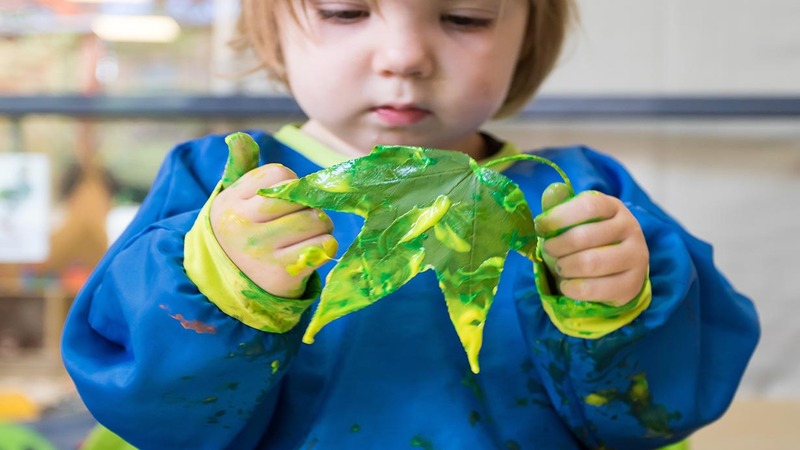 The National Curriculum – The Early Years Learning Framework (EYLF) – is supported by the Reggio Emilia Approach at our Centre. 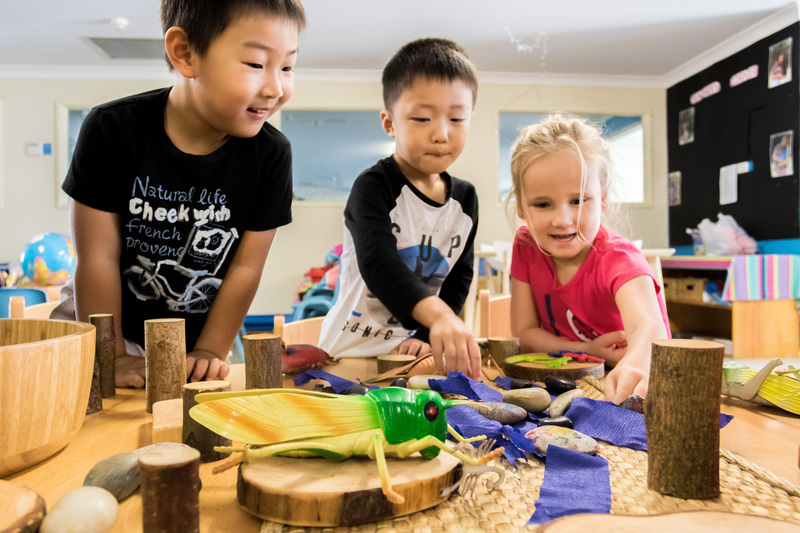 Teachers, children and their families all contribute to the program, and children are encouraged to develop skills in problem-solving, hypothesising, critical reflection and collaboration. 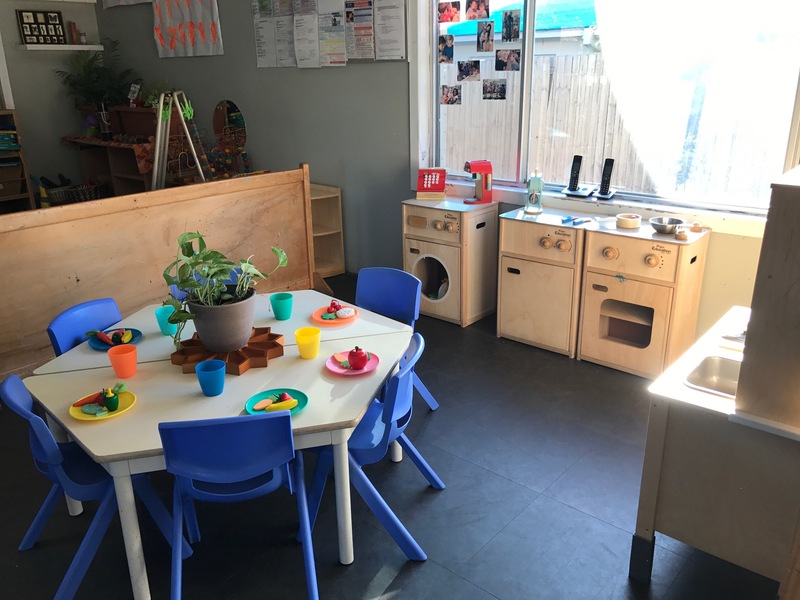 The approach views the classroom environment as the ‘third teacher’, arranged to provide stimulation and provocations that promote children’s learning, in line with the EYLF. 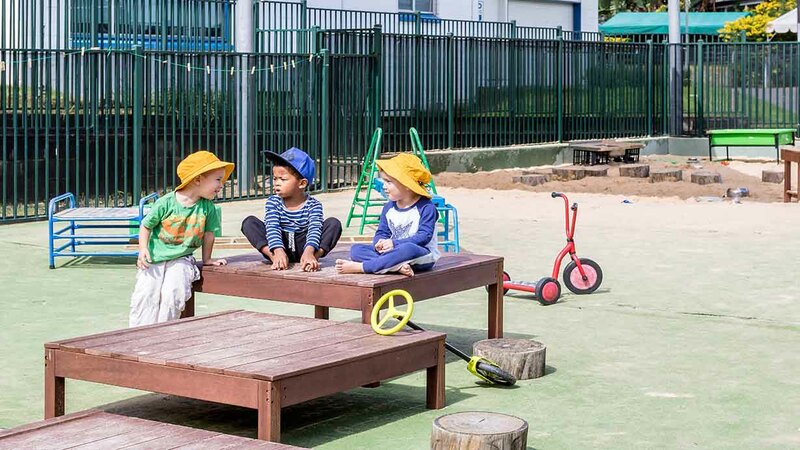 Central to the EYLF is the concept that childhood can be conceived as a time of Belonging, Being and Becoming, and children are supported in building a sense of identity and wellbeing; contributing to the wider community; becoming confident and involved learners and effective communicators. 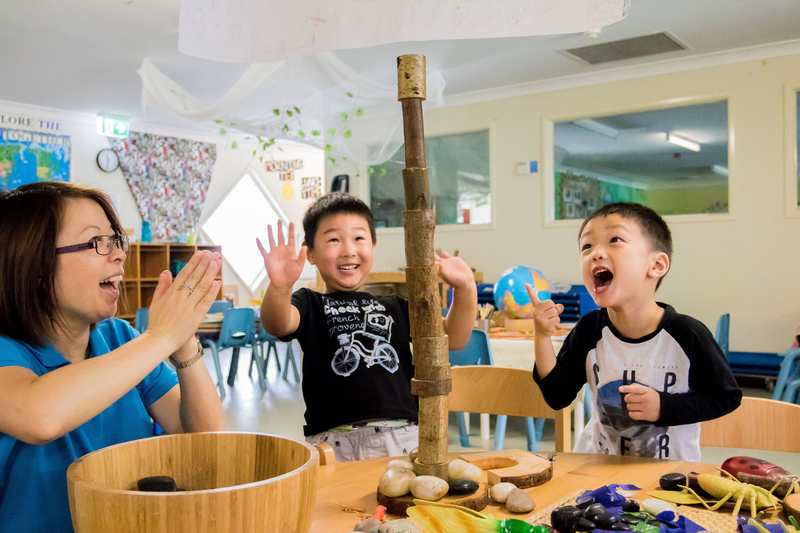 Children also learn and develop in an inclusive environment, with a focus on the value of a culturally diverse community. 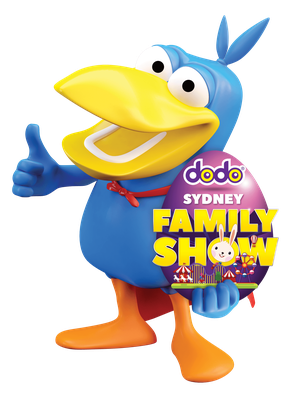 The French Start Program (commencing in 2018) introduces children to a second language in an enjoyable and relaxed way. 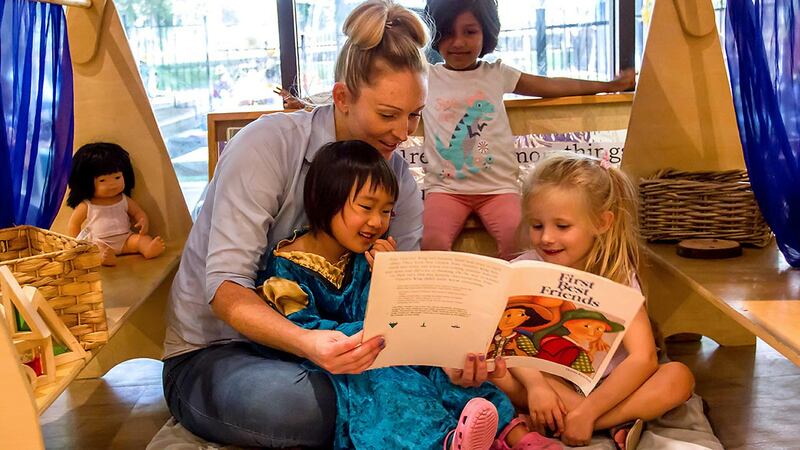 New words and phrases are introduced gradually and reinforced through repetition and song – mirroring the way a child learns his/her first language. 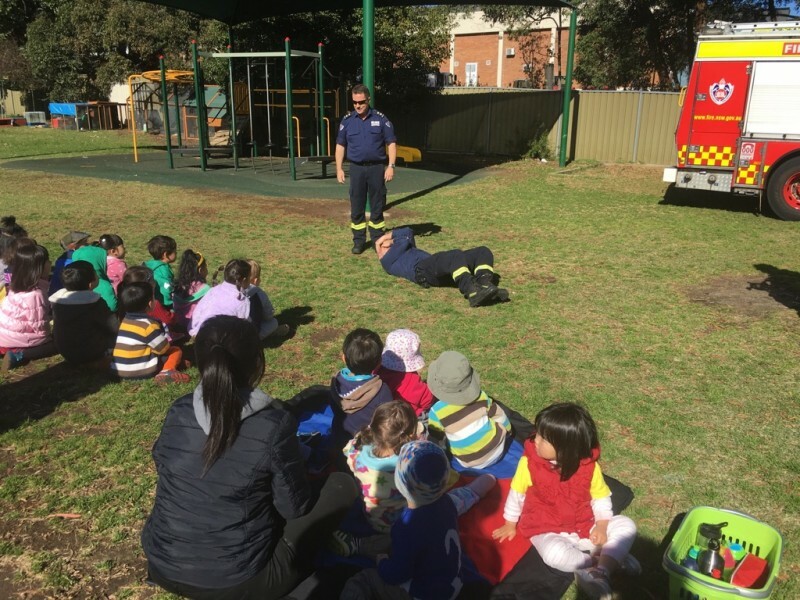 The Munch and Move program is an initiative from the NSW Health Department and encourages the healthy development of young children through fun and play-based experiences. 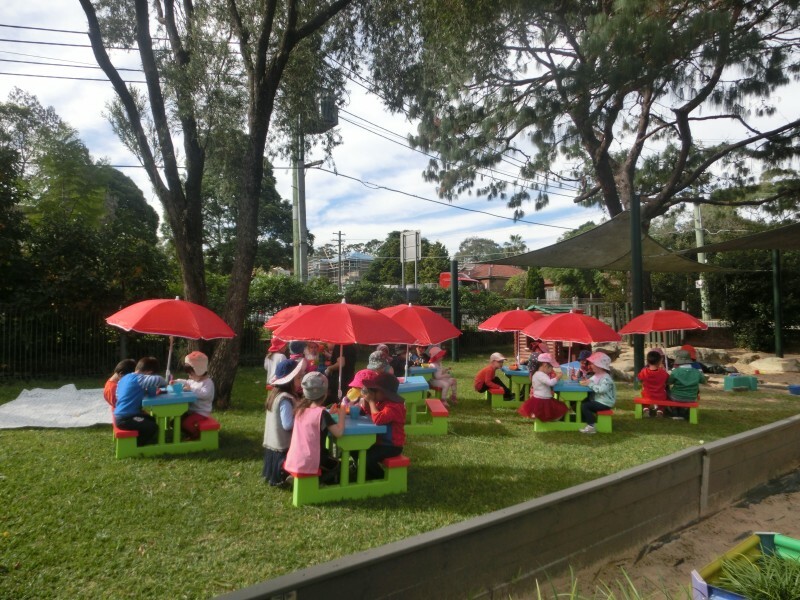 Hans & Gretel Long Day Kindergarten has over 30 years’ experience in successfully transitioning children to school. 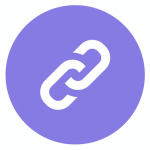 The NSW Department of Education and Training identifies a list of skills that contribute to making this transition successfully. Our Program supports the development of these skills, including personal/social skills, language, physical and mathematical skills. 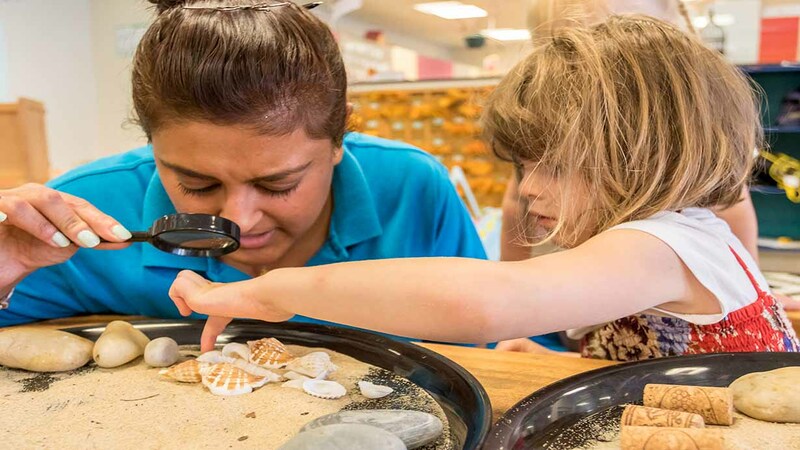 All staff employed at the Centre are qualified in childcare or working towards a qualification. The Centre has a Registered Psychologist and Registered Nurse on staff. 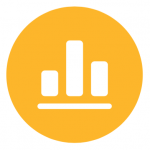 The Centre always aims to maintain staff ratios above the required level. 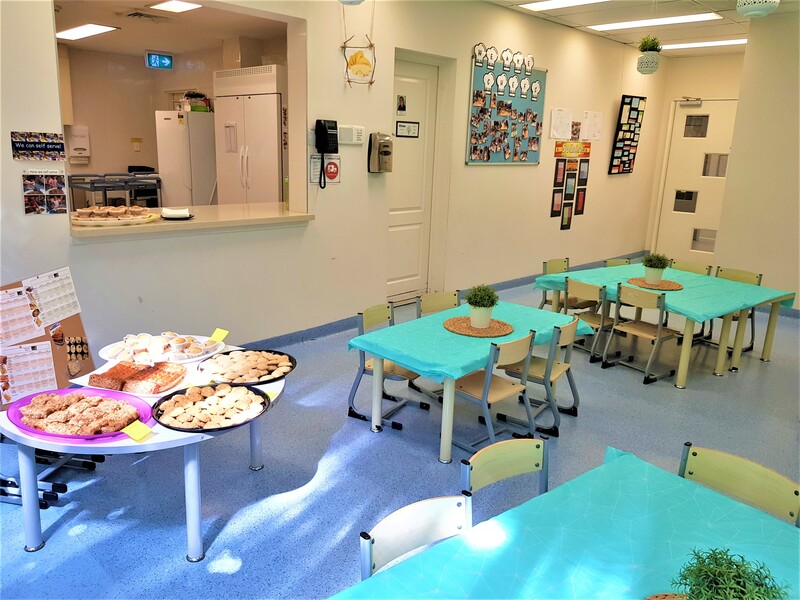 Fees are extremely competitive and include lunch, morning tea, afternoon tea and a late snack, programmed activities, all resources, sunscreen, French Start Program, and your child’s portfolio. 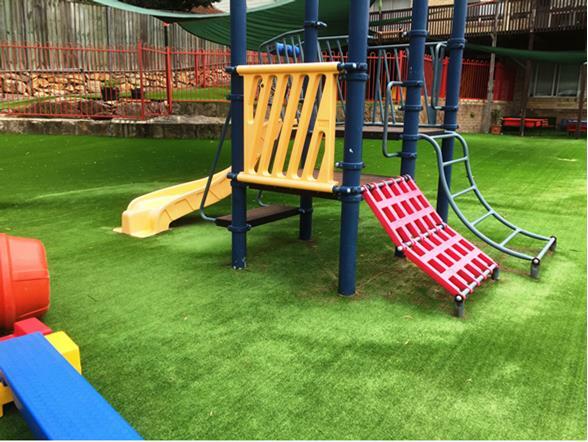 We are a family operated, long day care centre which first opened in 2011. 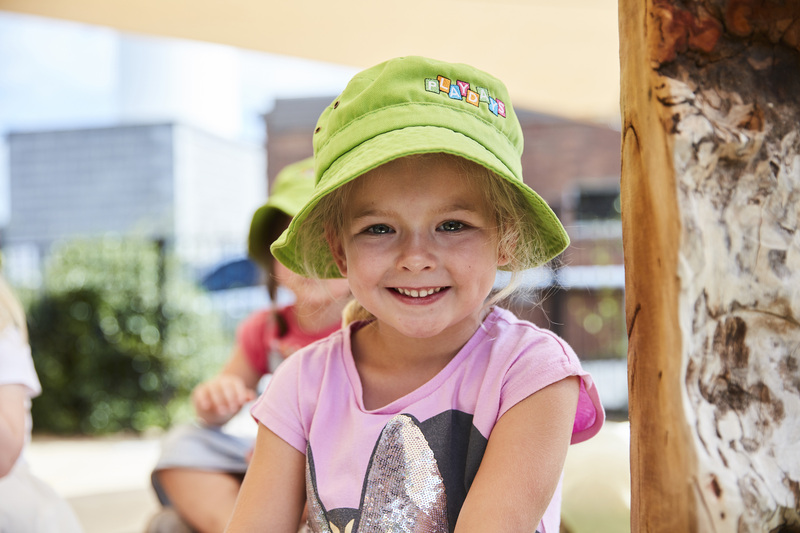 For the last eight years, we’ve been providing exemplary care and have set a very high standard to ensure that each child receives excellent care within the Ryde area. 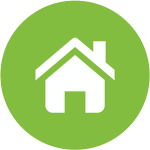 We strive to provide an environment which feels like home and we pride ourselves in our relationships with our children and families. 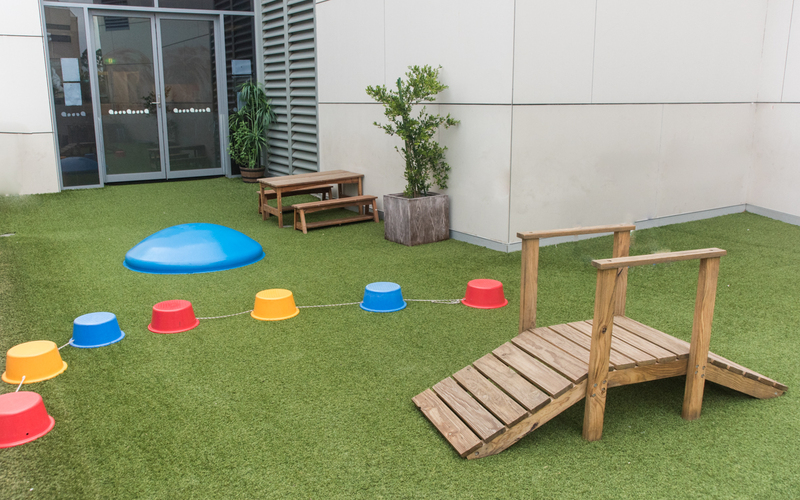 We ensure that we offer an environment in which both children, and their families, feel welcome and cared for. 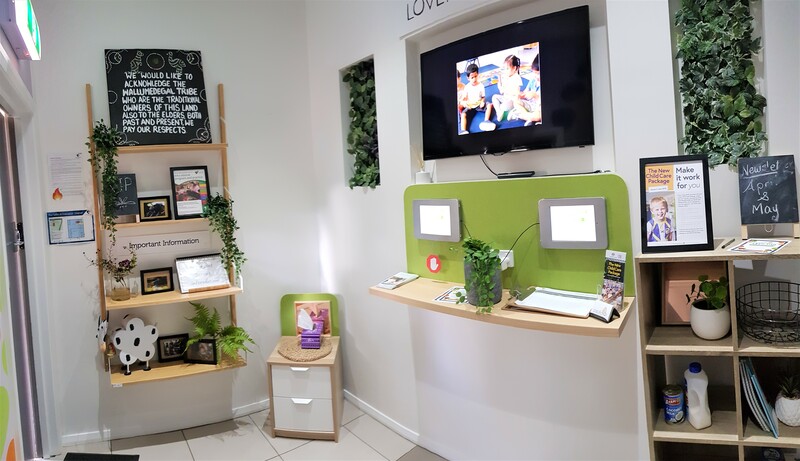 Many of our families return for our services with younger siblings as our care and facilities at Lilypad is well known and regarded. 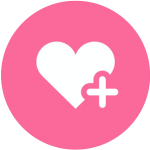 We believe a positive relationship is the foundation for the provision of quality care and education. Positive relationships can be built on trust, respect and good communication. 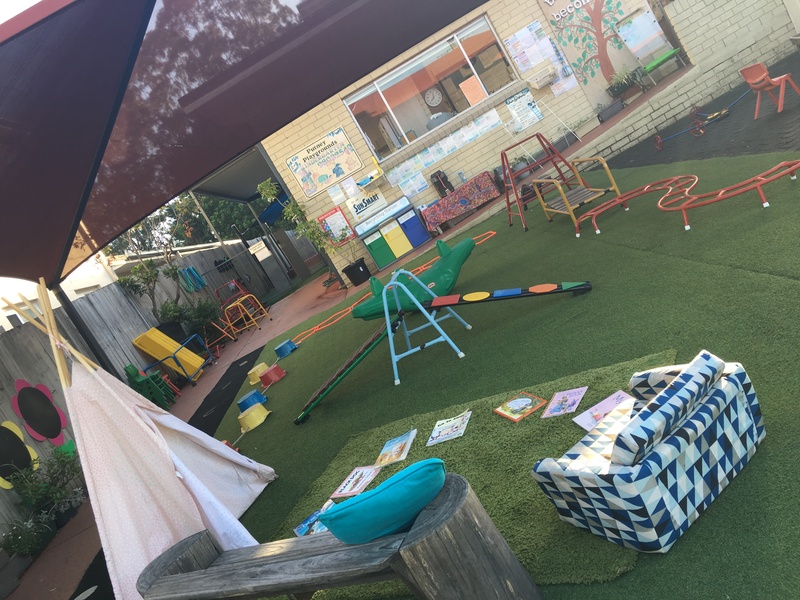 We endeavour to establish and maintain trusting, respectful and responsive relationships with our families and communities which focuses on active and open communications to ensure the best outcome for our children. 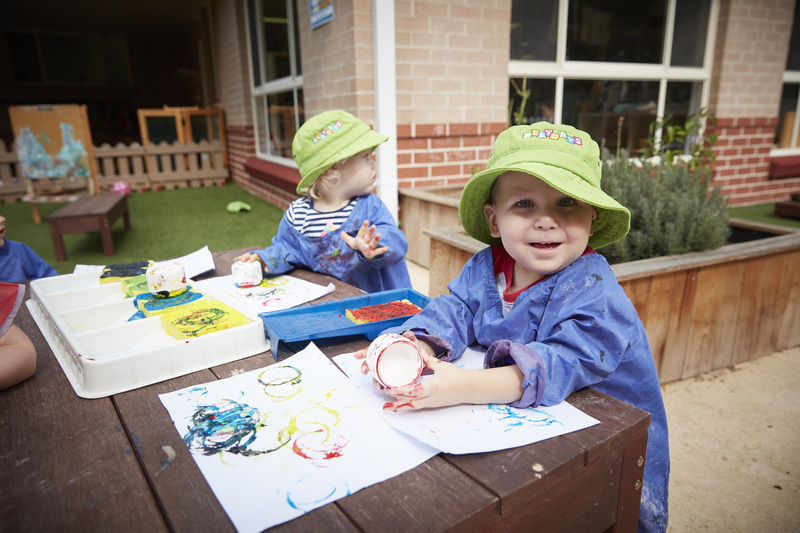 Children’s wellbeing always comes first to us as an Early Childhood Education and Care Provider. 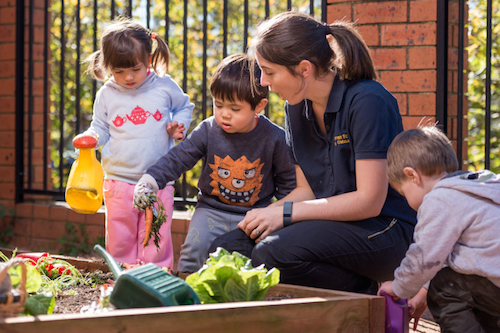 We have a unique WELLBEING program to support a child’s healthy body and mind. 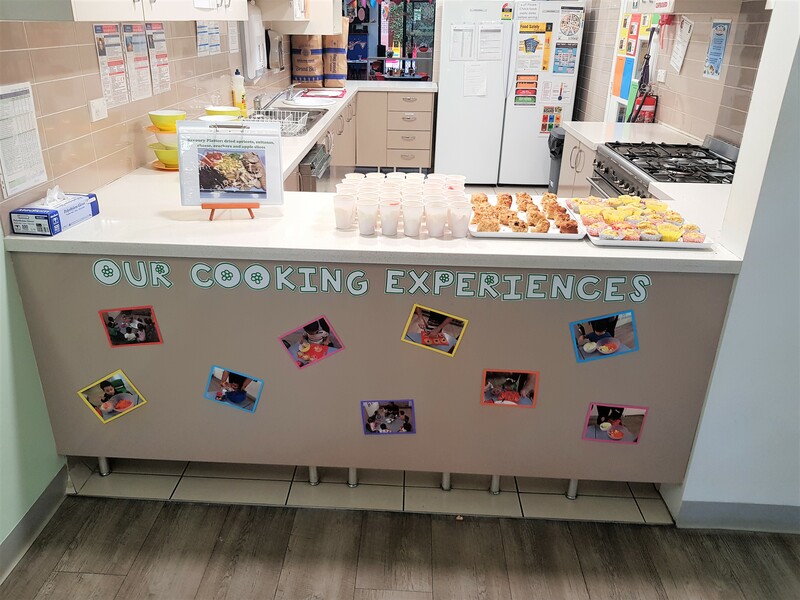 Healthy Eating (Centre Menu) – Our qualified and experienced cook prepares nutritious meals with fresh ingredients and takes into consideration children’s daily nutritional requirements as recommended by the NSW Government. 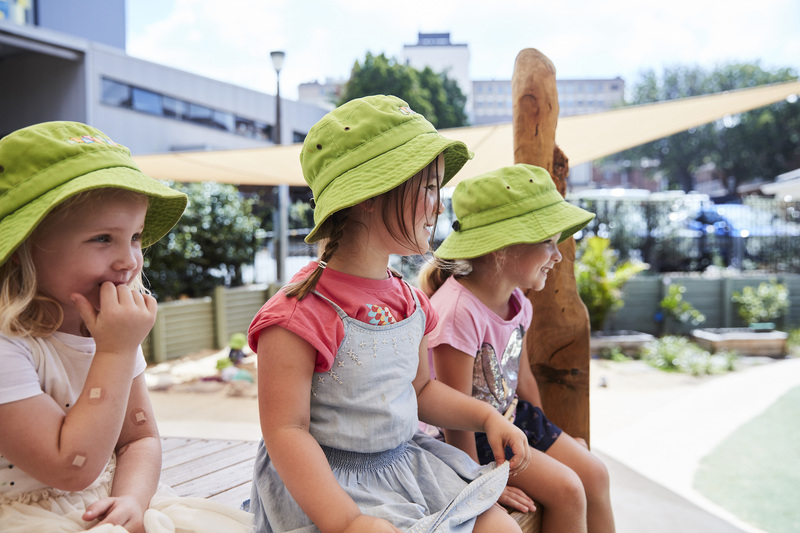 Munch & Move – the NSW Department of Health’s initiated children’s wellbeing program is deeply embedded in our curriculum through our daily outdoor programs, the Centre Afternoon Program (cooking experiences & mini moves activities), Local Excursions and our Work Out Studio Program. 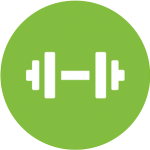 Extra-Curricular Activities – Apart from the healthy eating and ‘Munch & Move’ we offer a range of sports programs such as FAST Football, Taekwondo (Korean Martial Arts), Happy Feet and Zumba which encourage children to be engaged in fun and interactive physical activities. 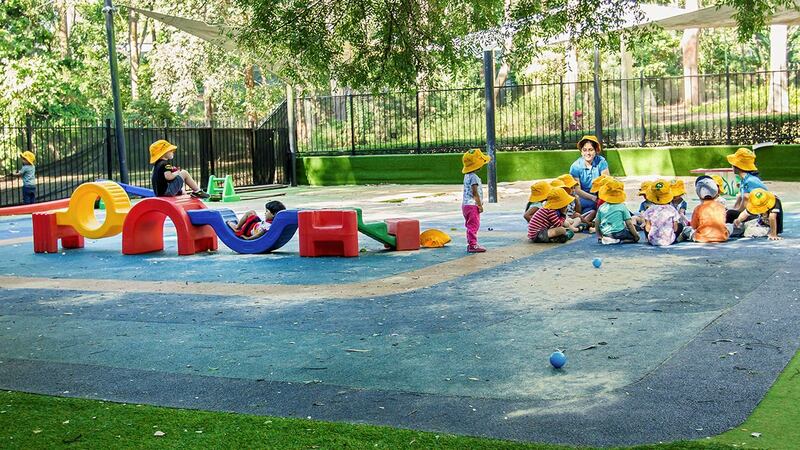 Living in Macquarie Park just got even better with the addition of a brand new Macquarie Park pre-school. 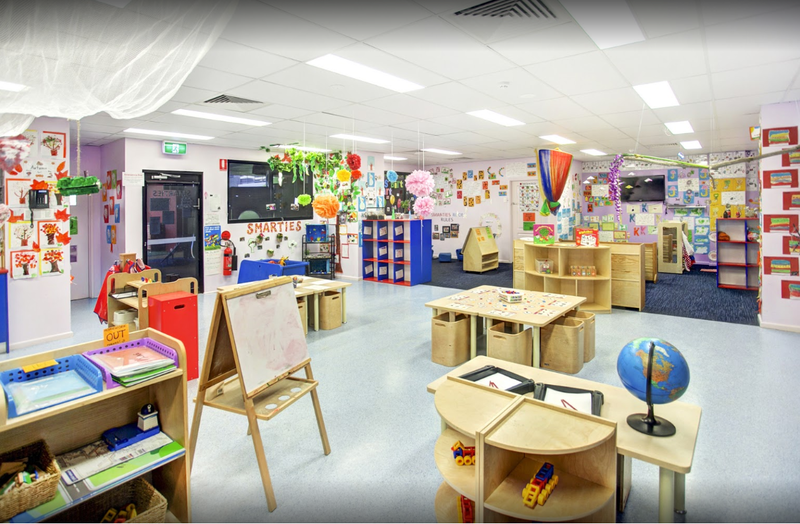 Part of Thrive Early Learning Centres, our Macquarie Park kindergarten provides both long day care and early childhood education for pre-school children in our bright and modern facility. 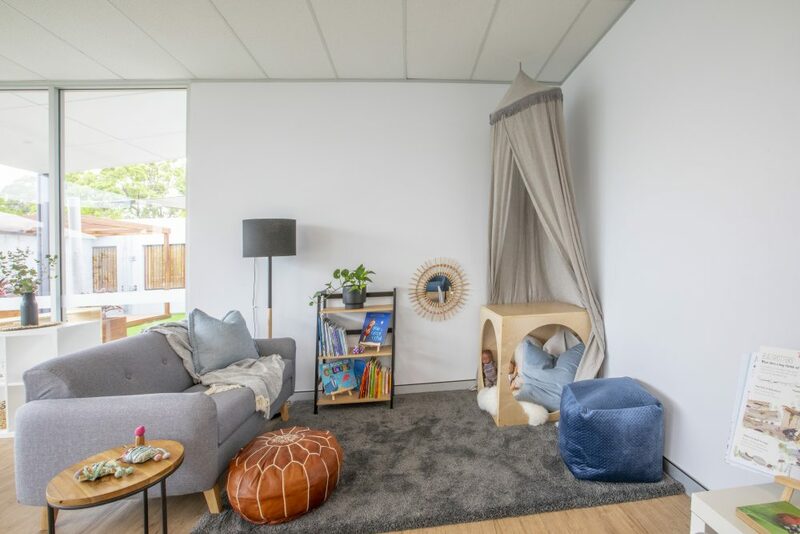 Our Macquarie Park day care centre is perfect for both working parents and parents who just want their child to get a head start in life, and offers our well-respected and very successful ‘Thrive’ curriculum which concentrates on developing all aspects of your child. 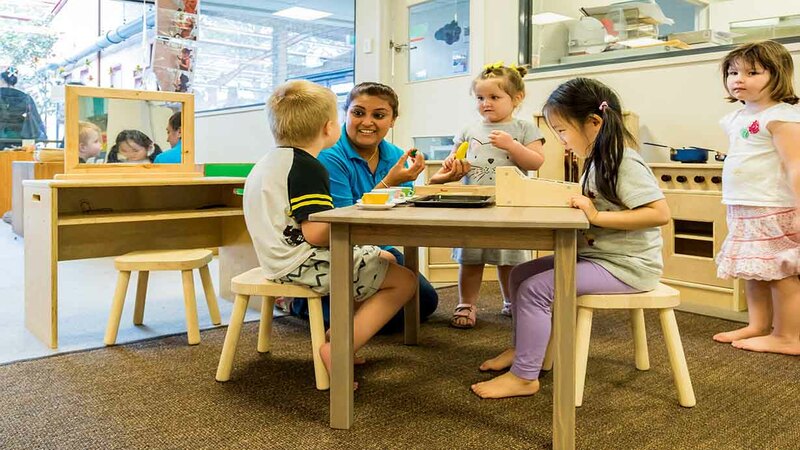 As a family run early child care centre, Macquarie Park Early Learning Centre aims to provide working parents with a reliable and nurturing day care facility for little ones. 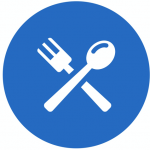 Not only do we open from Monday to Friday from 7 in the morning until 6 in the evening, but we provide healthy and nutritious meals for your children from our own catering facilities. 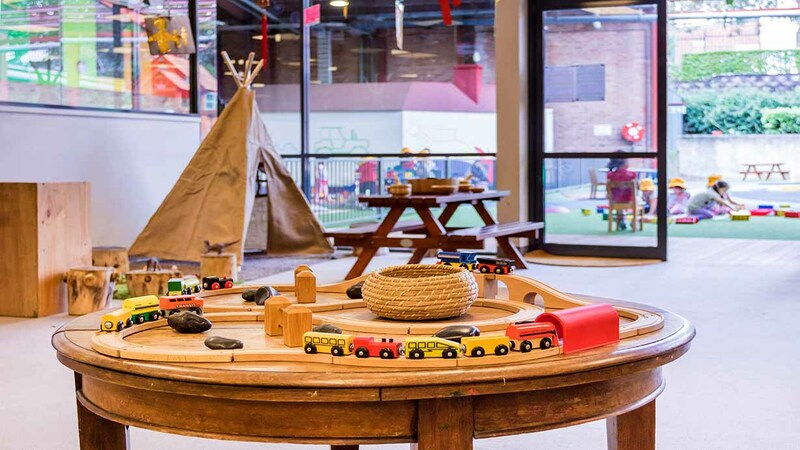 We’ve got plenty of modern, bright indoor and outdoor space, so that your children can play in safety, and our staff are fully committed to making sure that your child really has a great experience each and every time they visit. 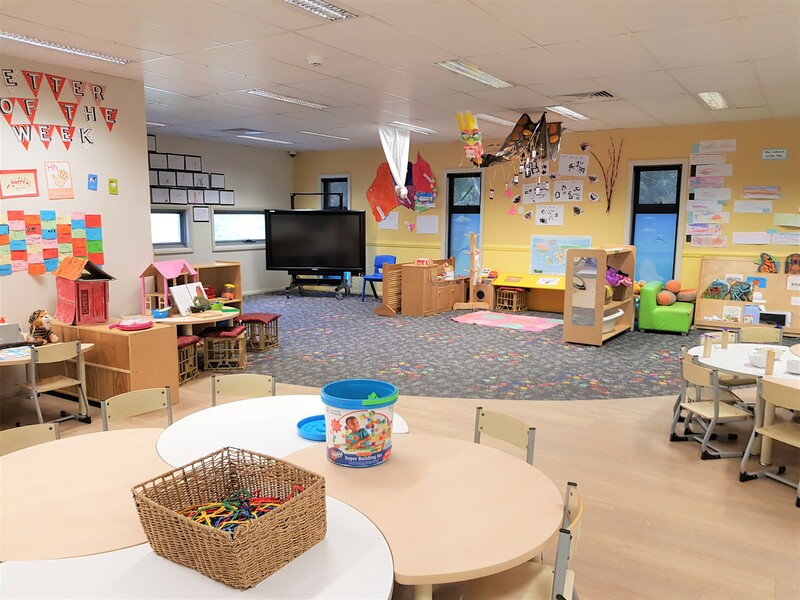 Our prices are fully inclusive of all meals, nappies and wipes, so why not come and check out the latest early learning centre Macquarie Park has available and see all of our facilities? 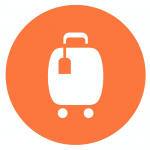 Same team, same fees, same feel, same quality…just a new location right around the corner from where we were before. 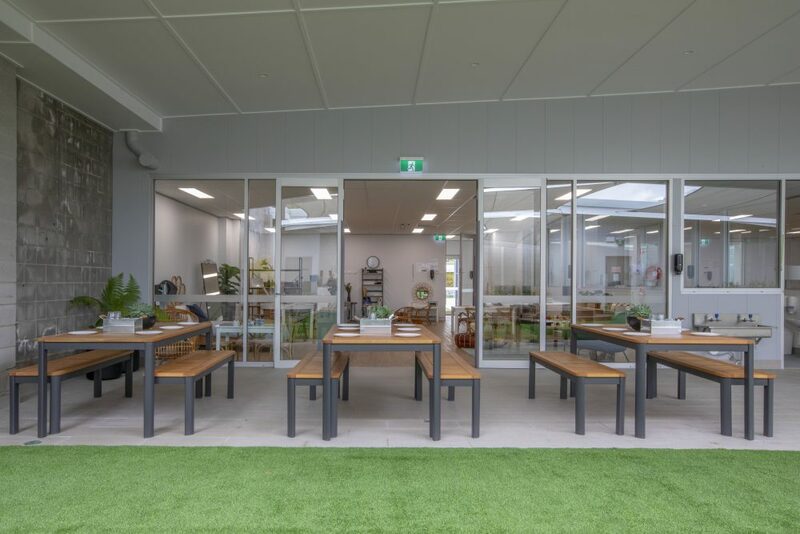 We are currently taking enrolments, so please give Belinda or one of our team a call on 9807 1619. 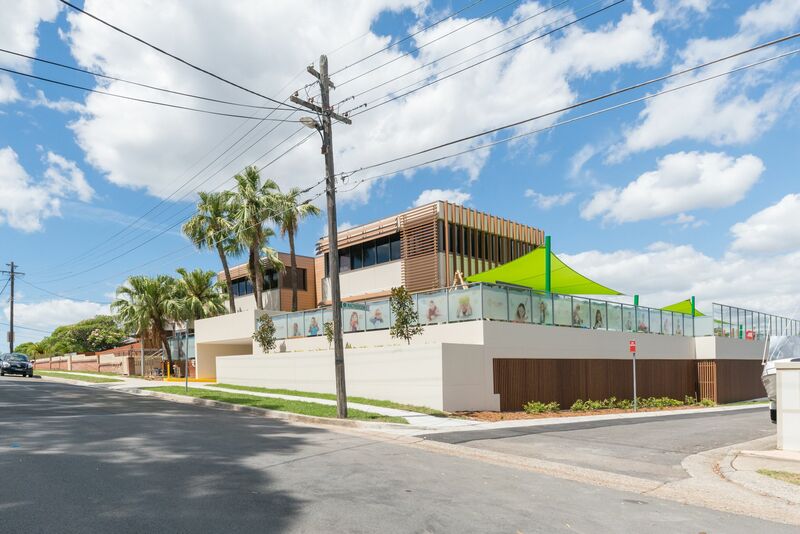 We are located at 27 Malvina Street in Ryde, which is convenient for families who live and work in the area or those passing through. 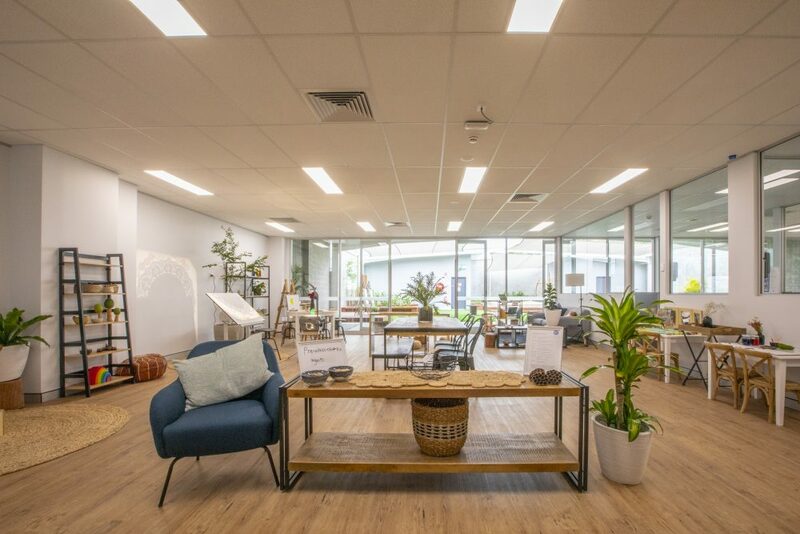 The owners of the centre, Lorna King and Nesha Hutchinson live locally and operate this centre, as well as one other in Sydney’s North West. 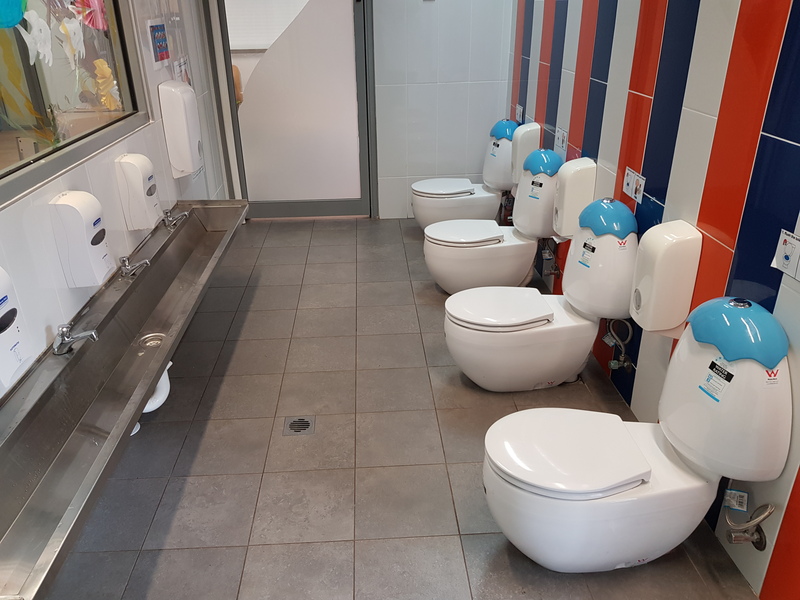 They have won local and national awards for the quality of care they provide, their people management and leadership, as well as staff training and development programs. 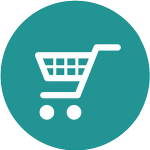 Our fees are kept as low as possible and in line with other centres in the area. While returning a profit, we provide top quality resources, investing in our staff and the centre. 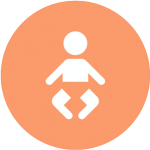 Government assistance through Child Care Subsidy (CCS) is available to all families. 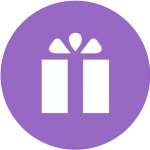 A majority of our on-site experiences are paid for by the centre, allowing all fundraising we do to go directly to charity. You can be confident that your child is in trained, experienced hands. 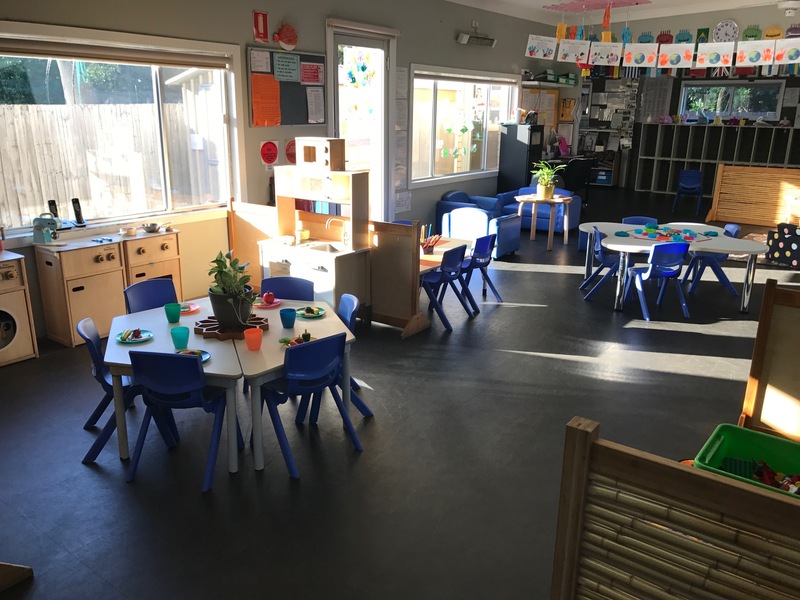 At Top Ryde Early Learning we employ well above the standard level of trained, experienced and qualified staff (we currently have 4 university trained Early Childhood Teachers, when Regulations state we only need 1), with 2 other staff currently studying to be early Childhood Teachers. 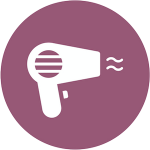 All of our staff are first aid trained (including specific training in Asthma management and Anaphylaxis management), and all partake in an ongoing personal professional development program – with formal training and ongoing workshops. Our aim is to retain the best staff by providing a satisfying and rewarding workplace that allows staff to grow and develop in all aspects of their lives. We have been awarded Exceeding in all Areas of the National Quality Framework which rates us on the areas of educational program and practice, children’s health and safety, physical environment, staff arrangements, relationships with children, collaborative partnerships with families and communities and leadership and service management. 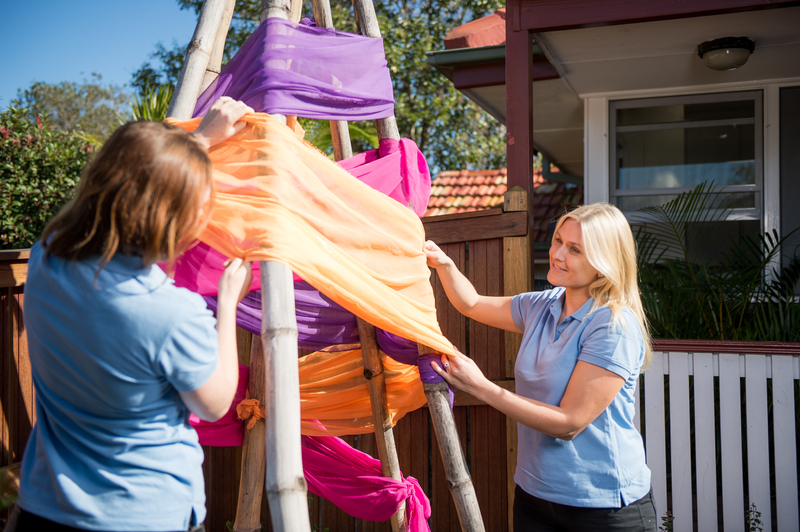 Our staff are recruited and retained based on their dedication to their job and their love of working with children. The benefits to your child are both a higher continuity of care and quality individual interactions. 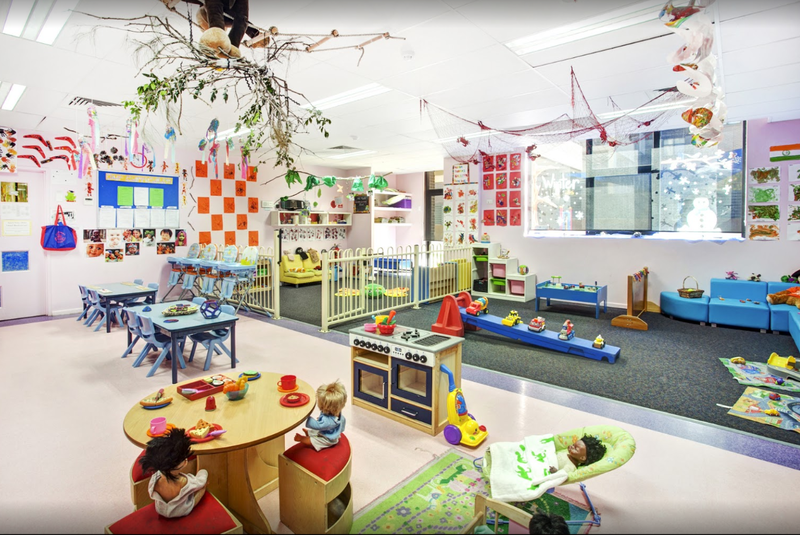 Farran Street Quality Child Care Centre is a private long day care centre that provides care for 35 children between the ages of 0 to 6. 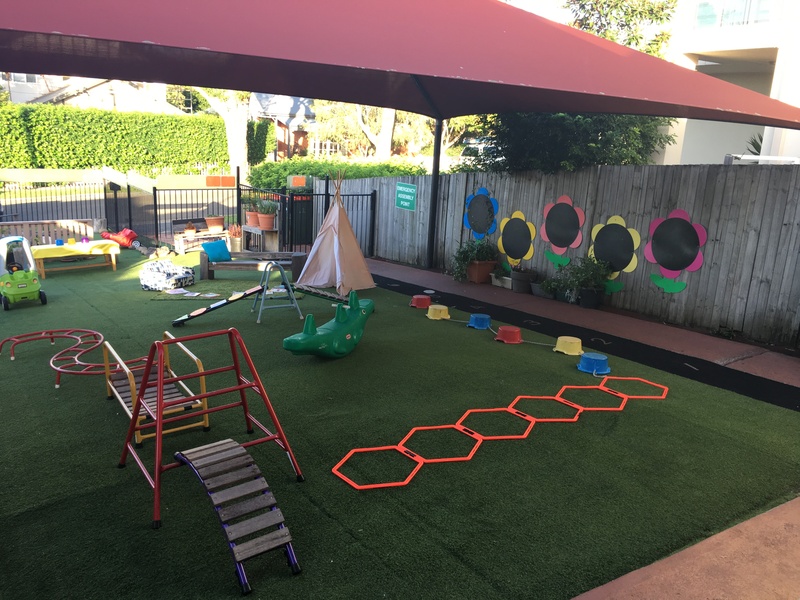 Farran Street child care has been operating for over 22 years in a quiet, residential area of Lane Cove, just off Mowbray road and near Mowbray Primary School. 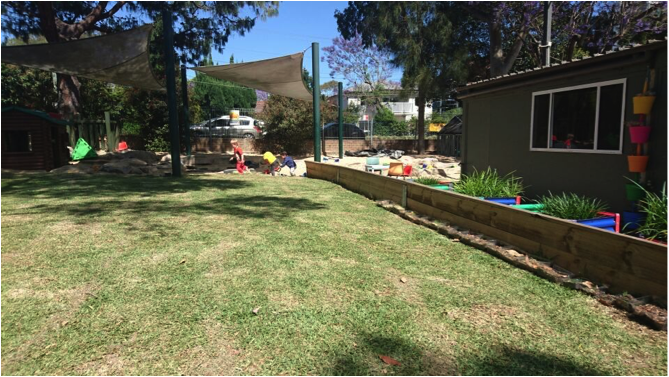 The long day care centre services the Lane Cove, Chatswood, Willoughby, Artarmon, Northwood, Gore Hill and surrounding areas. 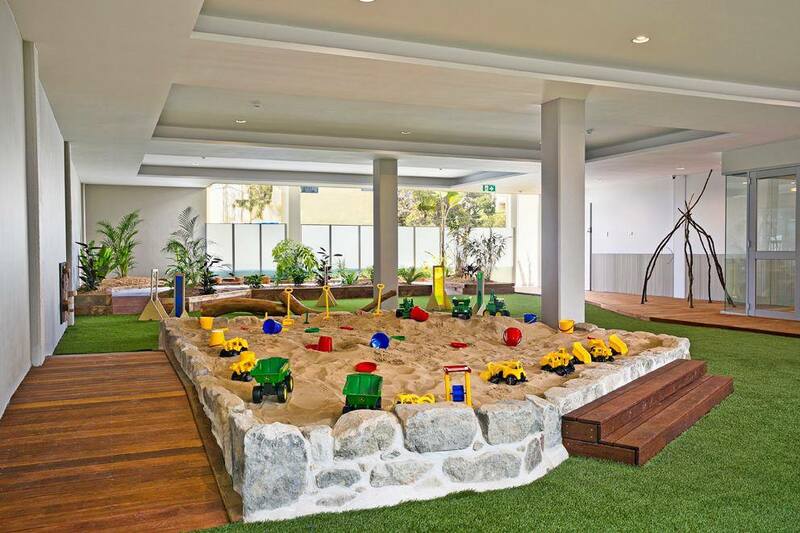 The quiet and natural surroundings make it a perfect location for children to play and grow in safe and warm environment. 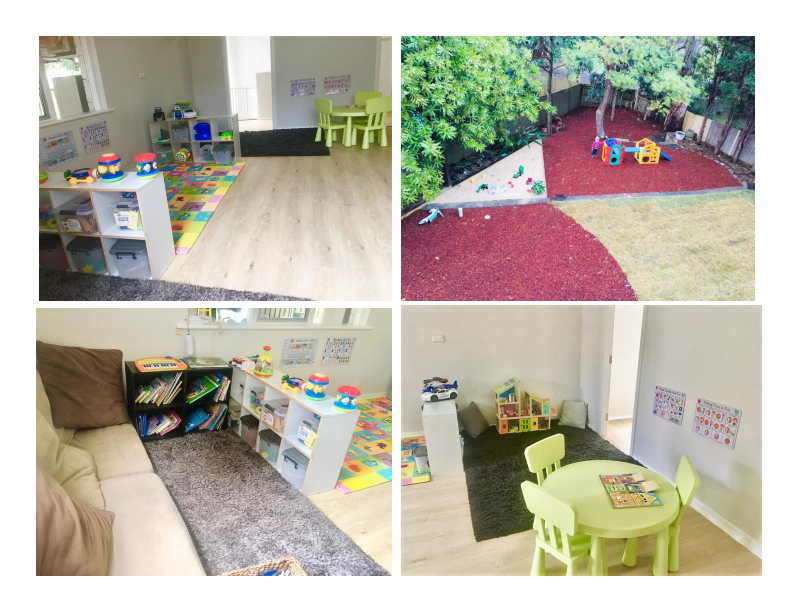 Tulip Garden Family Day Care is a Purpose- renovated daycare which has the benefits of both Family Day Care and Child Care Centre. 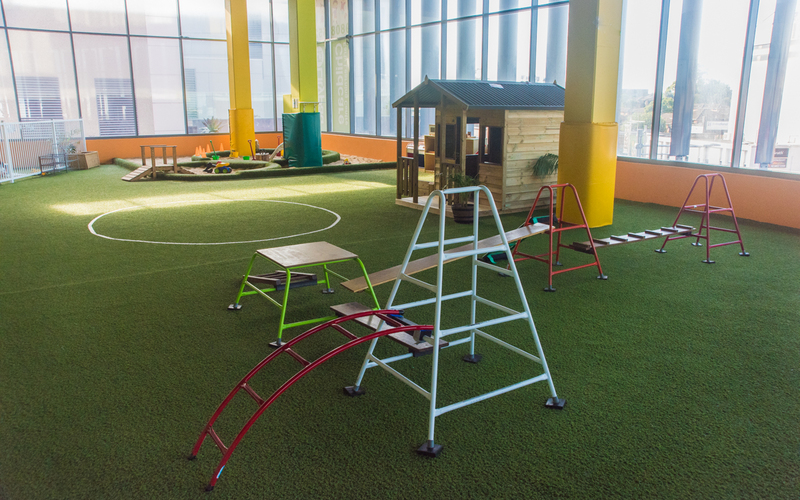 The children can enjoy the one to one interaction with their educator in a small society, the place has been recently renovated and designed only for children’s play, rest and education. 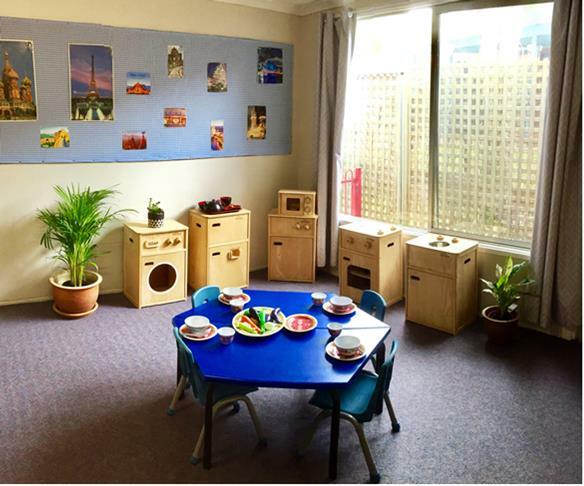 Tulip Garden’s educator is a young mum with seven years’ experience in children services. 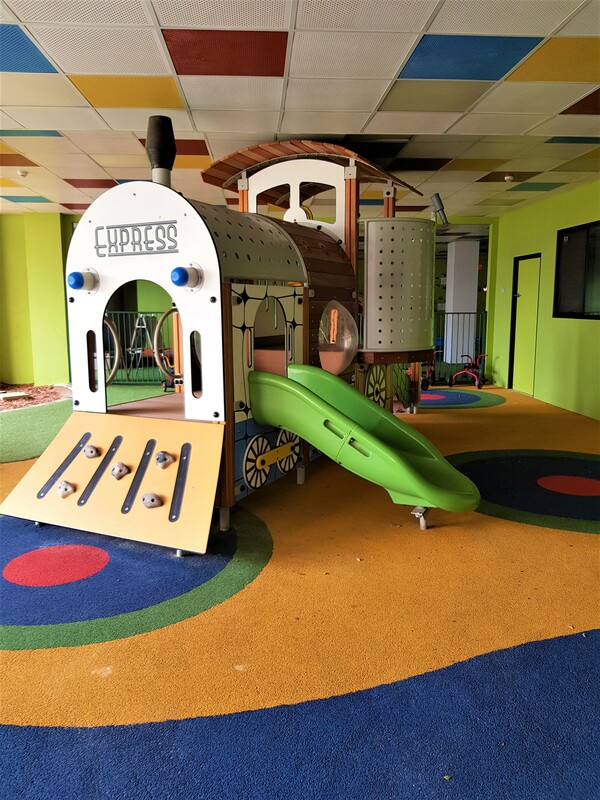 If you are looking for a bright, clean and big environment for your children to experience a happy, healthy and busy childhood, Tulip Garden is your next ‘must to visit’. 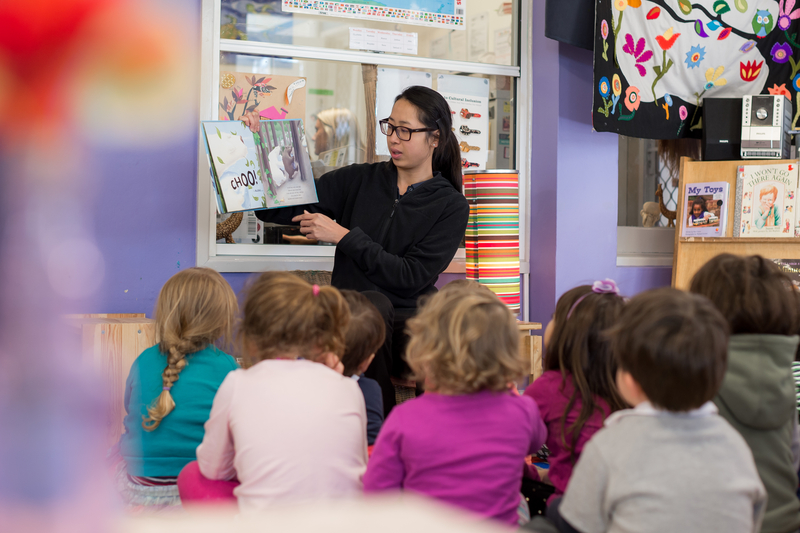 At Tina’s Family Day Care I believe that each child is an individual and as an educator, I will value and develop each child’s strengths, interests, skills, abilities and knowledge to extend their learning. I offer services for young children between 6 months old and 5 years old from Monday to Friday. I also offer school holiday care, weekdays night care and weekend care (with booking). 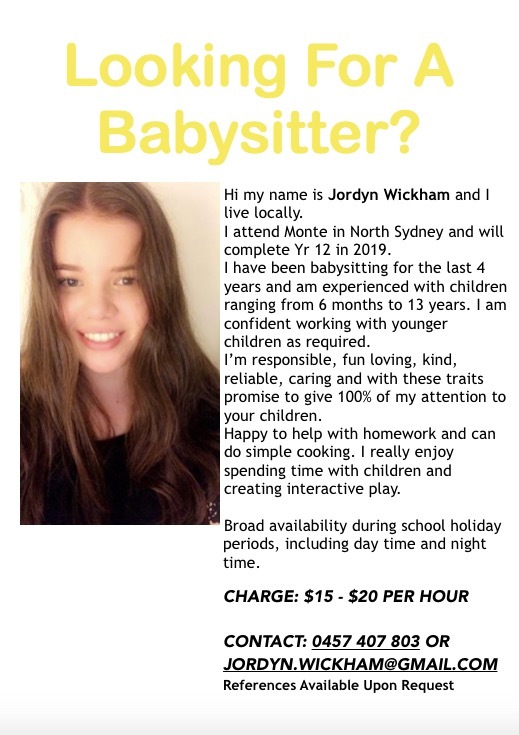 I currently have a few spots available and also I am taking enrolment for 2019. 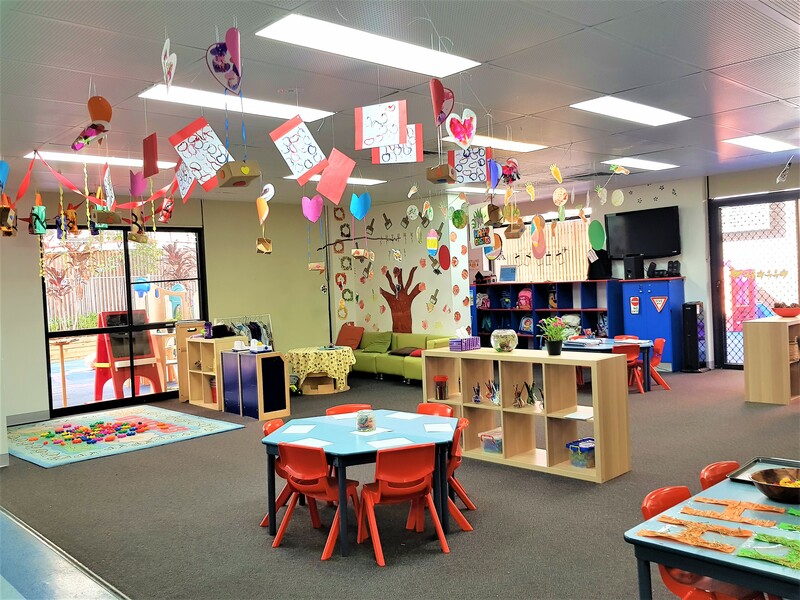 Macquarie Early Learning Centre is a 60 place Long day Care centre catering for children from ages 0-5 years, providing all consumables that your child needs throughout the day. 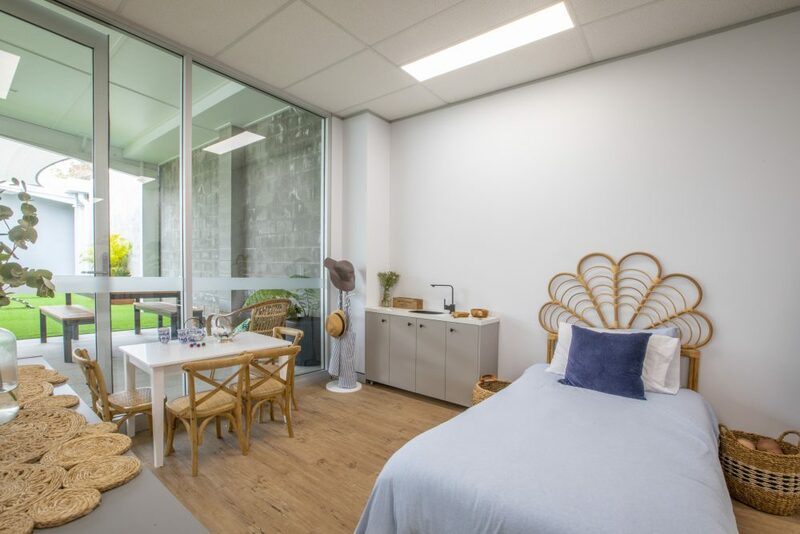 Being perfectly located in the Macquarie Park business park with extended opening hours of 7:30am – 6pm, we are convenient to many families who work in the surrounding corporate buildings and shops. 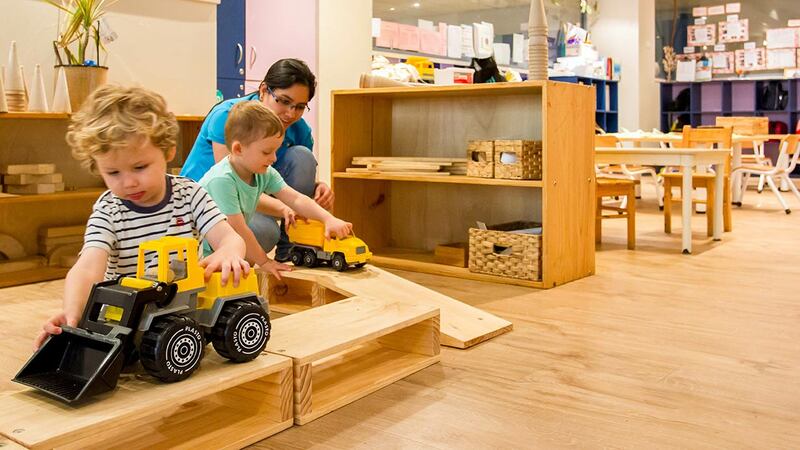 Here at MELC, we are committed to providing the highest possible standards of care and education for children from their first steps to their preparation and transition to big school. 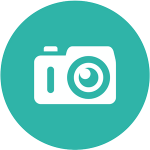 Our families benefit from our wonderful online programming system, KindyHub, allowing them to see their child’s learning (through photos and a journal) as it is happening each and every day, often while they are still at work! Come and be part of the MELC family! 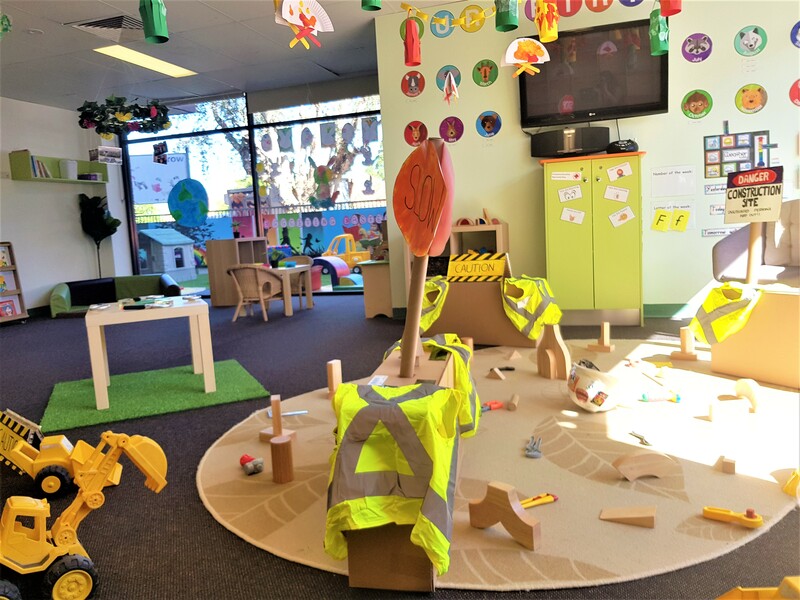 Playdays – West Pennant Hills is a small early learning centre with a big heart. 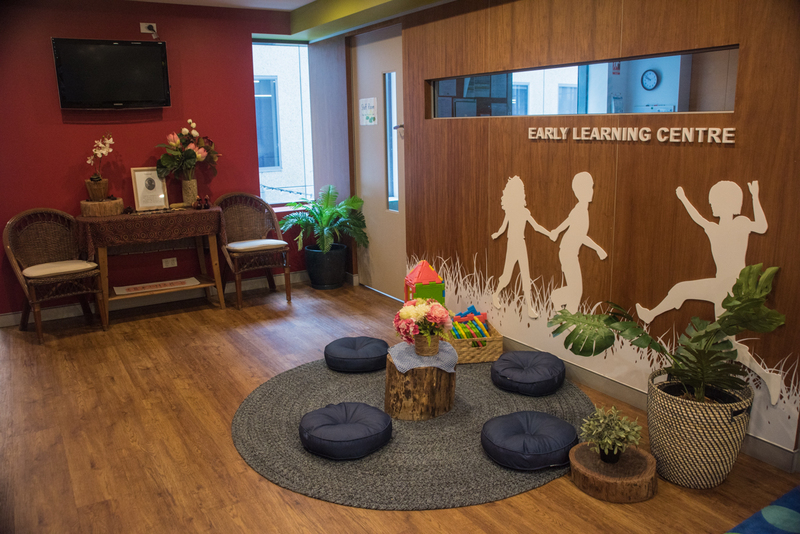 With an early learning program tailored to each child, educators at the centre promote learning and development by forming a genuine relationship with your child, and turning children’s interests and turning them into opportunities for educational play. The centre believes that children who eat well, learn well. The centre offers a delicious wholefood early learning menu that is prepared on site each day, using fresh seasonal ingredients. Acre Woods Early Learning Centre in Gladesville is a child care and early learning centre located near both Victoria Road and Ryde Aquatic Centre. 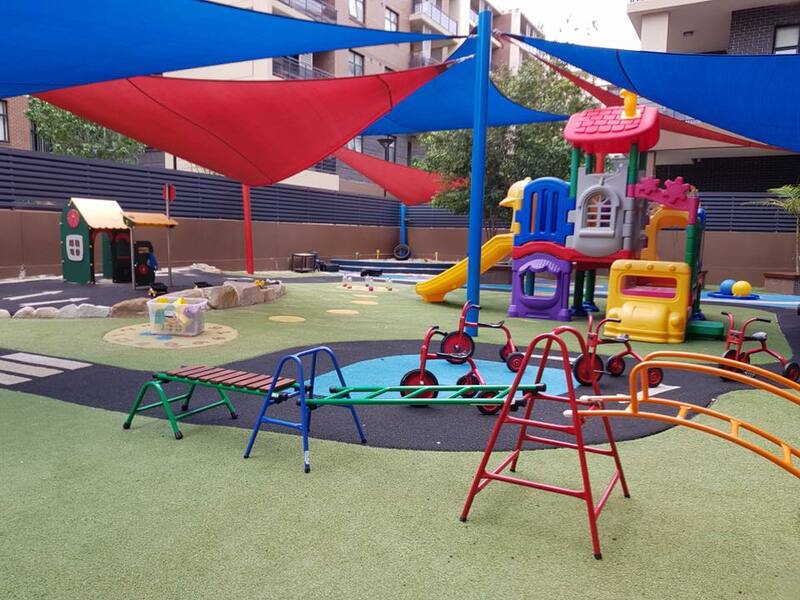 The daycare has easy access to public transport into the CBD with off street parking available for drop off and pick up times. 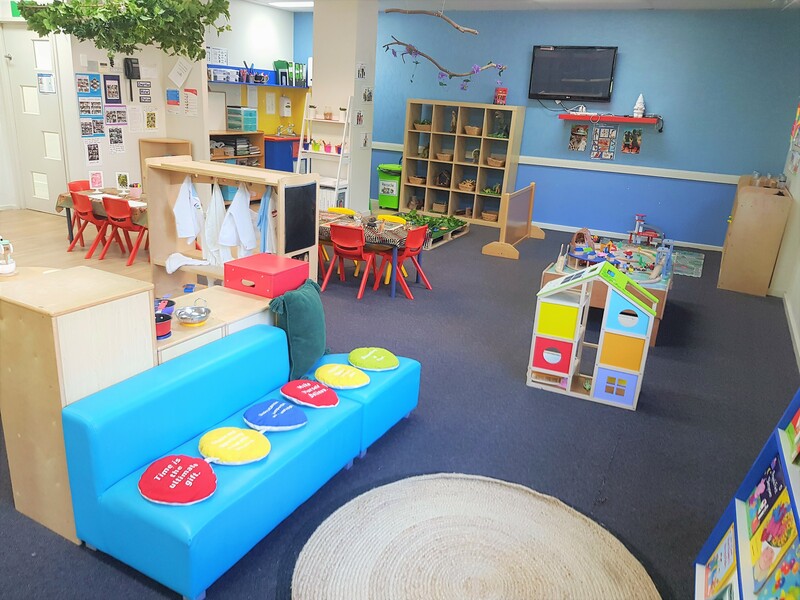 Our convenient location means you can spend less time commuting between home and work and enjoy more quality time with your child, hearing about all the exciting things that they’ve learned with us during the day. 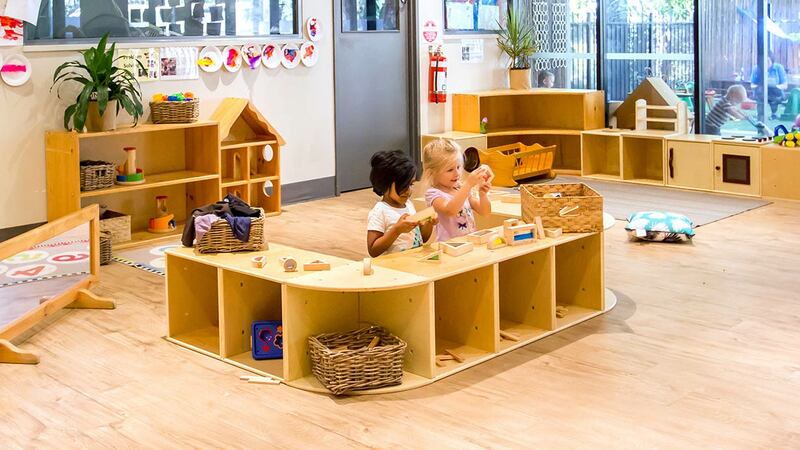 Welcome to Guardian Early Learning and Childcare Centre in Eastwood, where we also proudly serve the surrounding suburbs of North Ryde, Macquarie Park, Epping and Denistone. 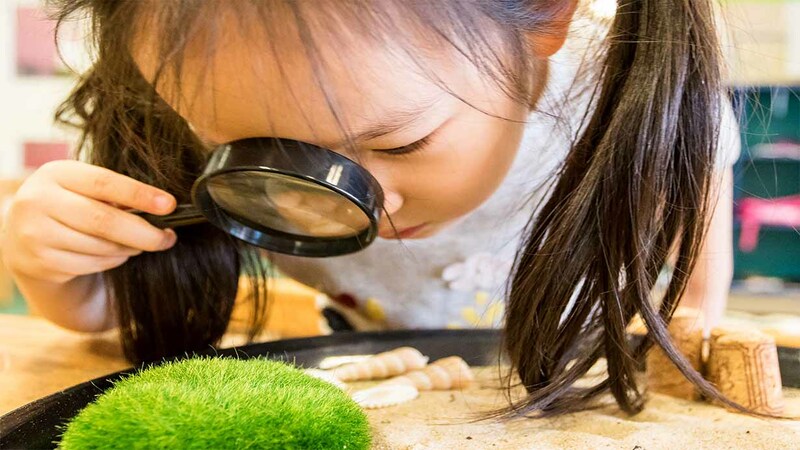 As well as offering a colourful, safe and sustainable indoor environment in which children can explore every aspect of their natural curiosity for learning, we’re also located within the grounds of the TG Milner Field, where we benefit from being able to explore the natural outdoor environment around us. 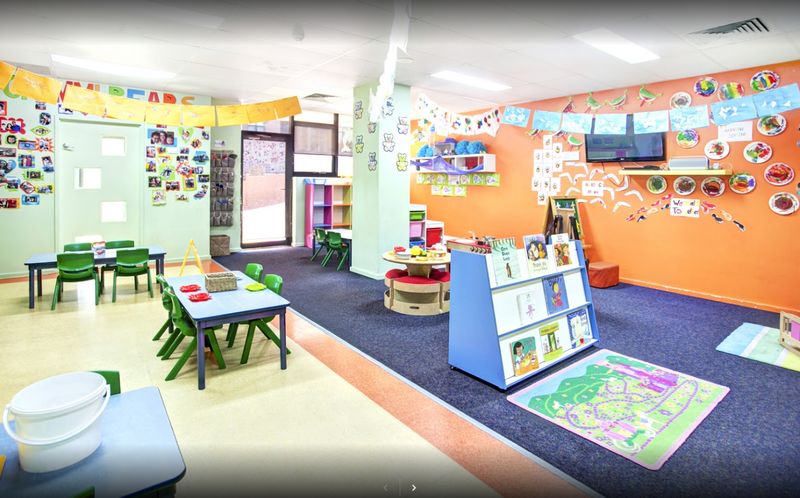 Papilio Early Learning Ryde provides quality education and care for children aged 0 and 6 years. 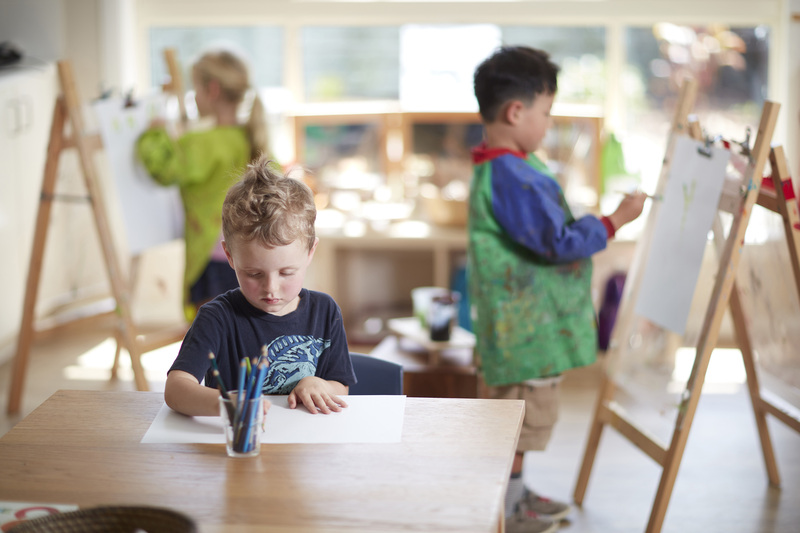 We provide a play-based curriculum and offer weekly yoga, Zumba, multi-sports and language classes. 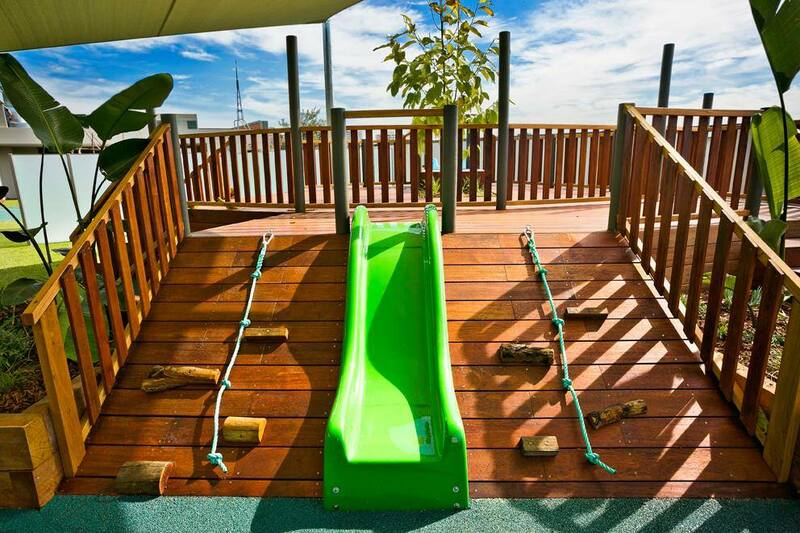 We have three amazing outdoor areas for children to explore. 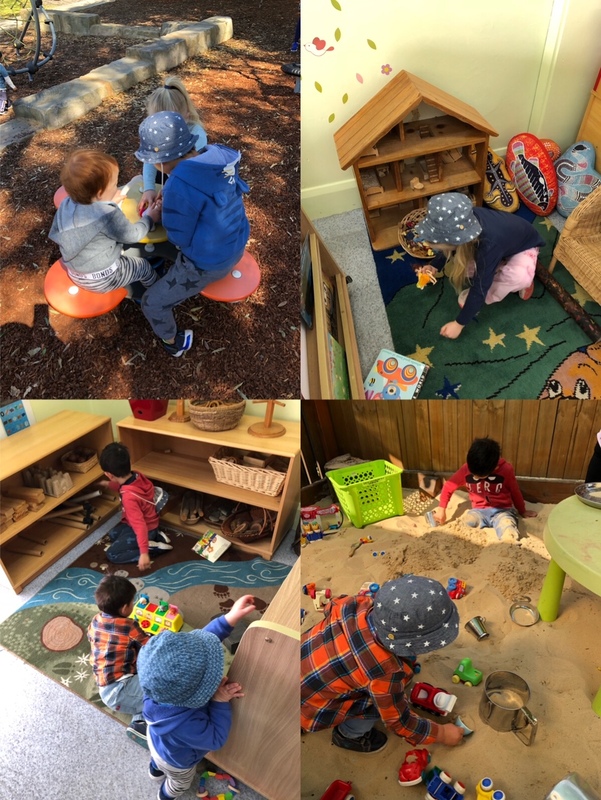 We pride ourselves on small-group play and rotating children between our many learning environments for a stimulating day! 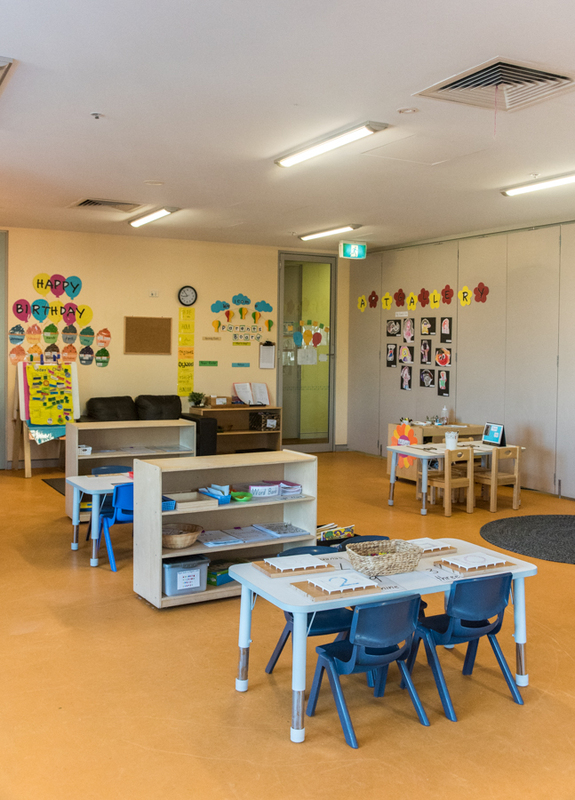 We have a long-standing team and a school readiness program for our 3 – 5 yr age group. We’re open from 7am to 6pm, Monday to Friday. Breakfast is included and we have an on-site chef daily. Visit us any day of the week by booking a tour. 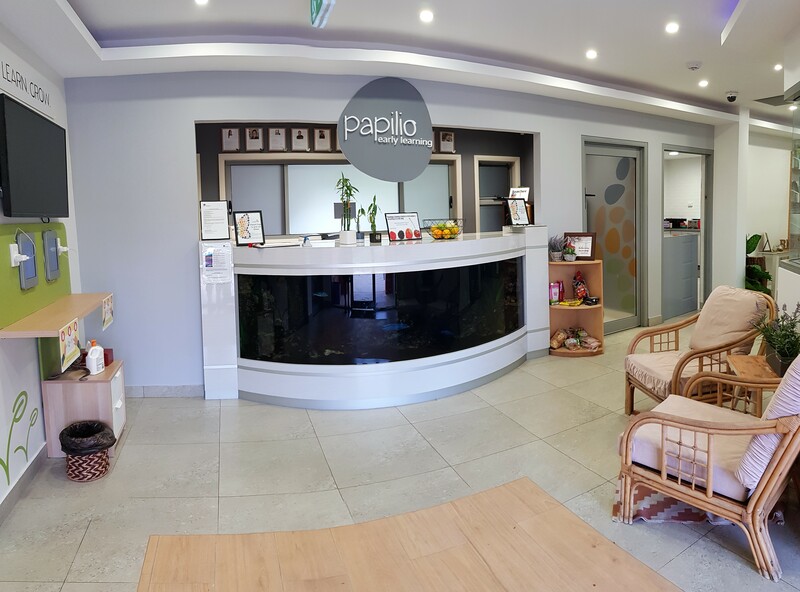 Papilio Early Learning North Strathfield2 provides quality education and care for children aged 0 and 6 years. 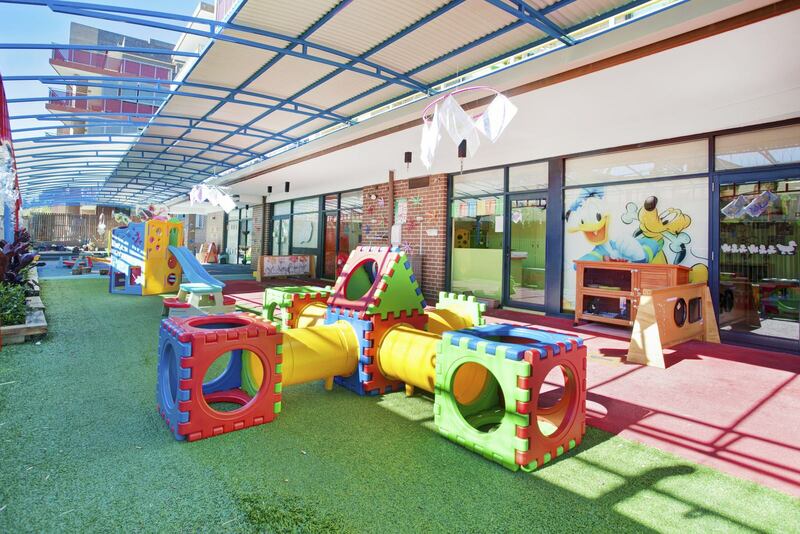 We’re a small, cosy centre with a long-standing team providing amazing playspaces and a school readiness program. 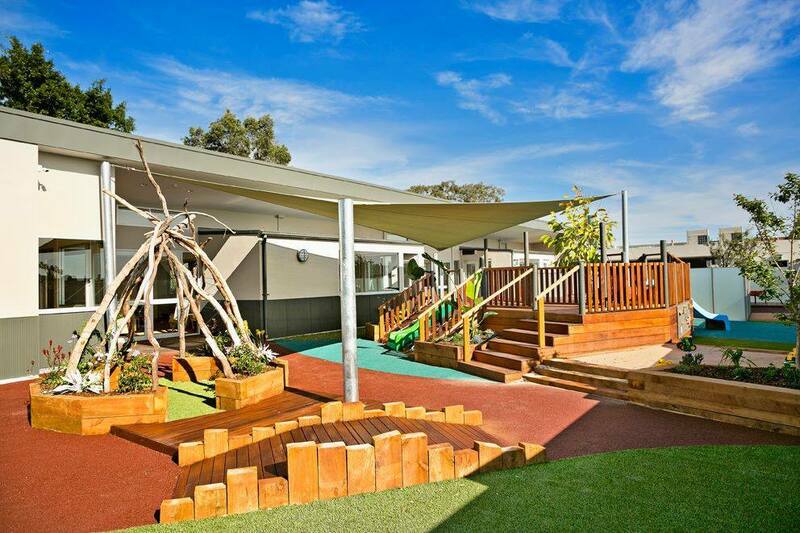 Papilio Early Learning Meadowbank provides quality education and care for children aged 0 and 6 years. 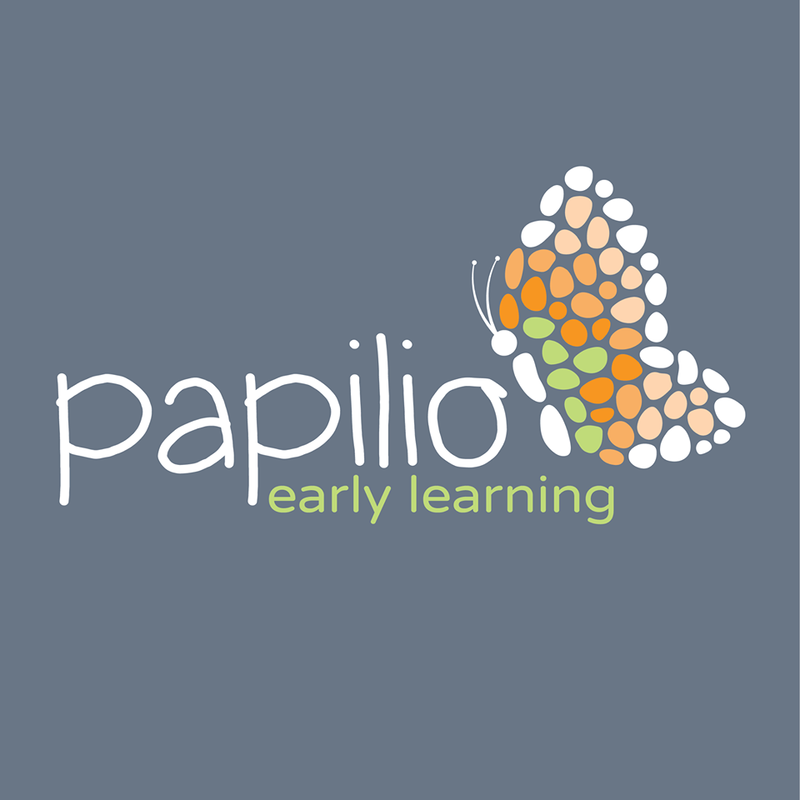 Papilio Early Learning Epping provides quality education and care for children aged 0 and 6 years. 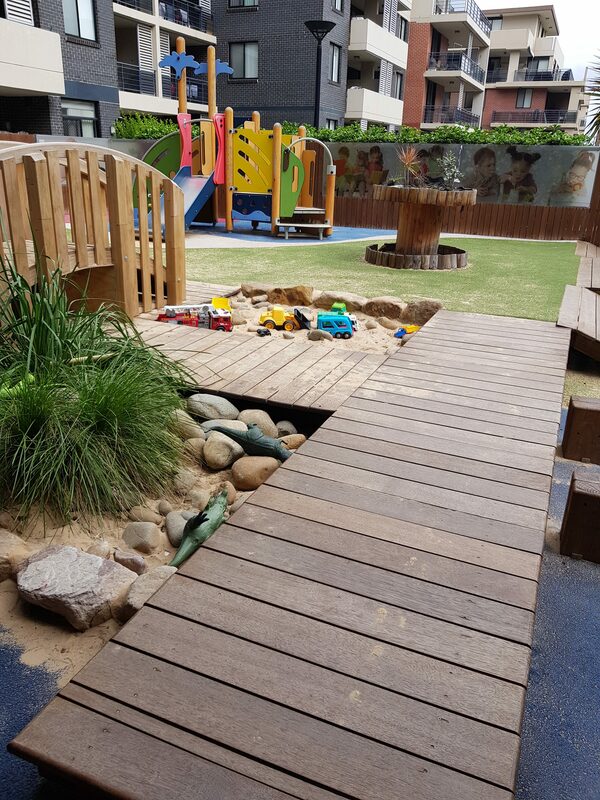 We pride ourselves on our amazing natural playspaces, small-group play and rotating children between our many learning environments for a stimulating day! 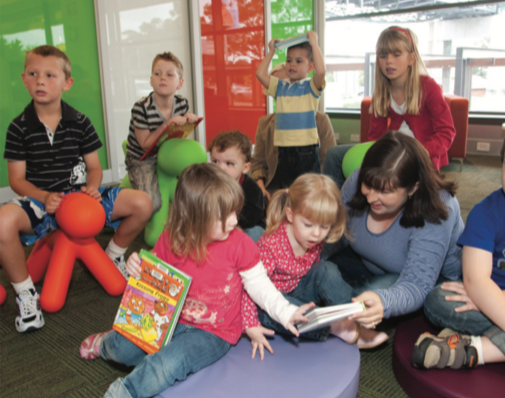 We have a long-standing team and a school readiness program for our 3 – 5 yr age group. 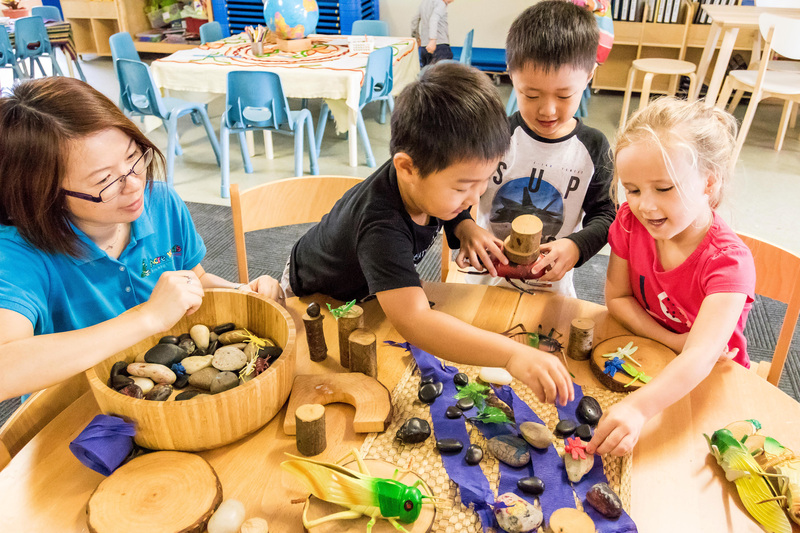 Papilio Early Learning Dundas Valley provides quality education and care for children aged 0 and 6 years. 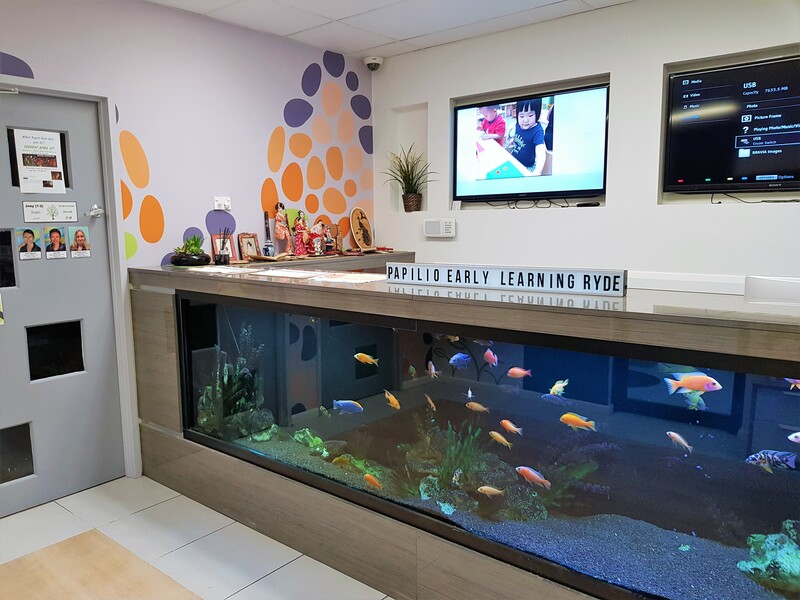 Little Zak’s Academy Epping has been in open since March 2015. Since opening, we have been providing a high-quality care program for our children, by creating bonds with our families and local communities. 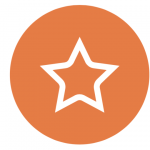 We strive on being the best in the area, providing our children with the tools to create the best start in life. We do this by conducting incursions, which include the local fire brigade, police department, doctors, dentists, vets and Kindi-farms. 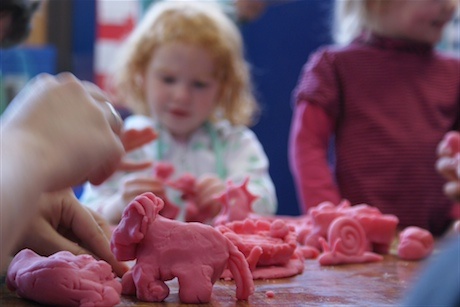 We also implement an intense school readiness program for our preschool-aged children. 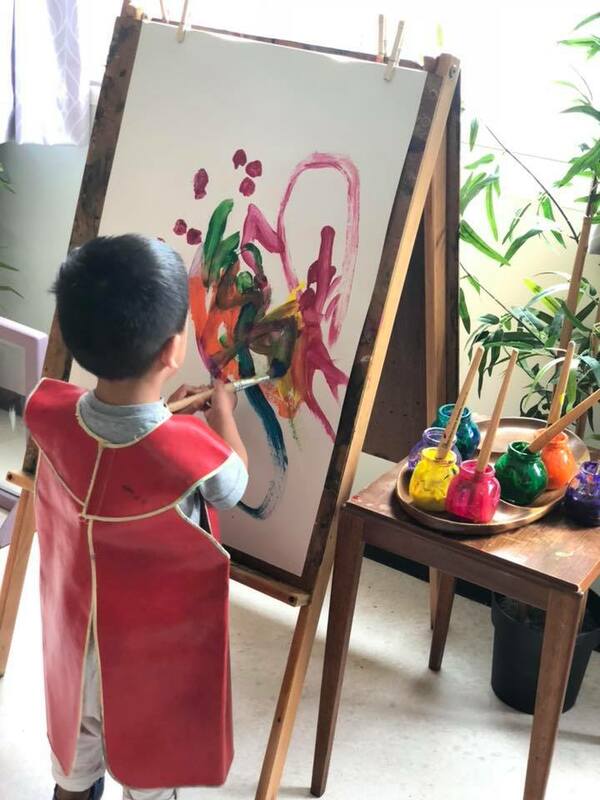 But most importantly, we only employ the best educators who are dedicated to providing a stimulating and exciting program for our children, supported by their caring and nurturing nature and a great team-like attitude. A chef is present on premises, to provide 5 meals daily. 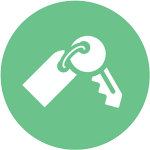 Entry to the centre can be found by the use of a doorbell and securely locked entry. 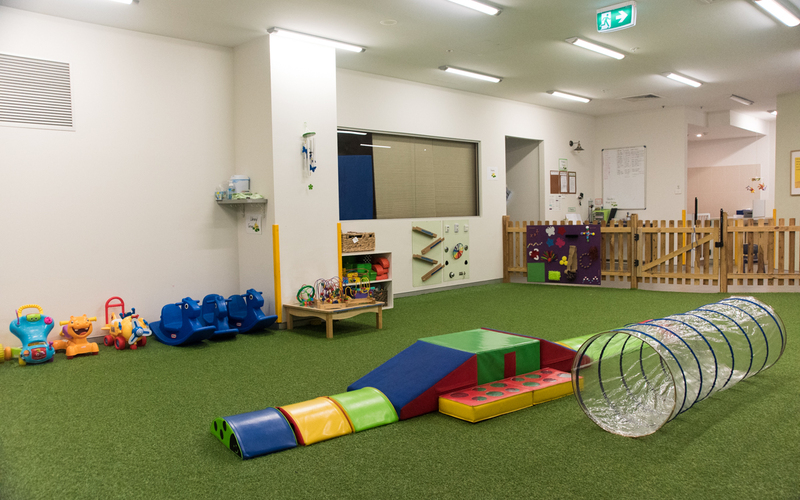 Our Epping centre caters for children aged 6 weeks to 6 years. 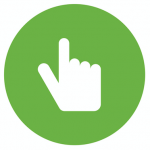 Please browse through our website, for further information. Our educators are passionate about learning and are carefully chosen for their strong qualifications, experience and natural flair. 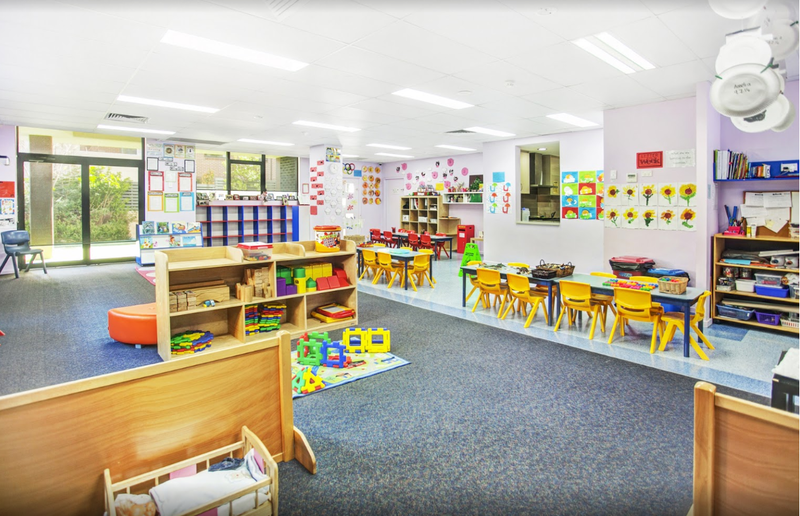 We take pride in our team of loyal, intelligent and nurturing educators, who inspire a passion for learning through providing stimulating environments for the children.